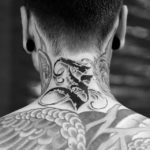 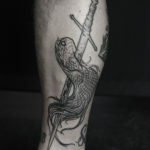 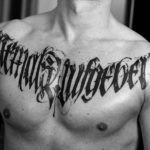 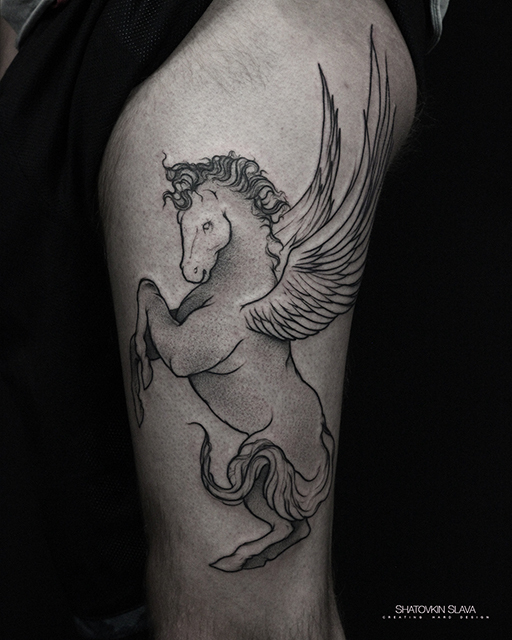 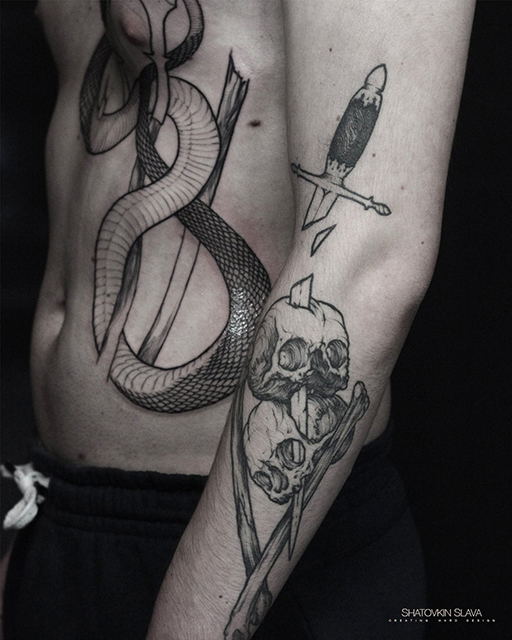 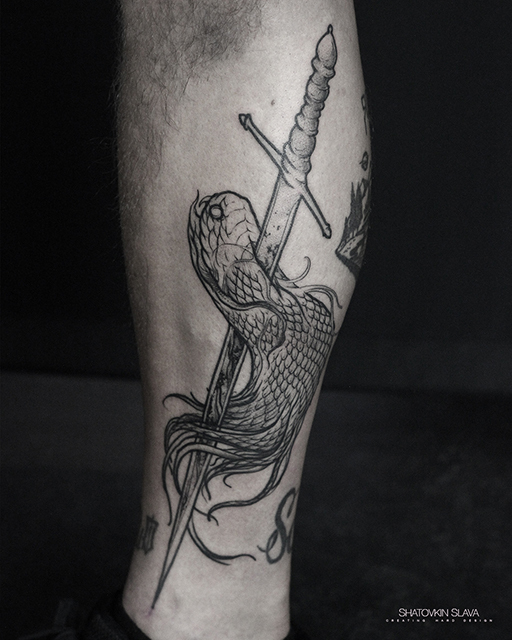 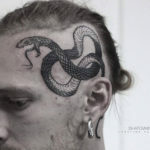 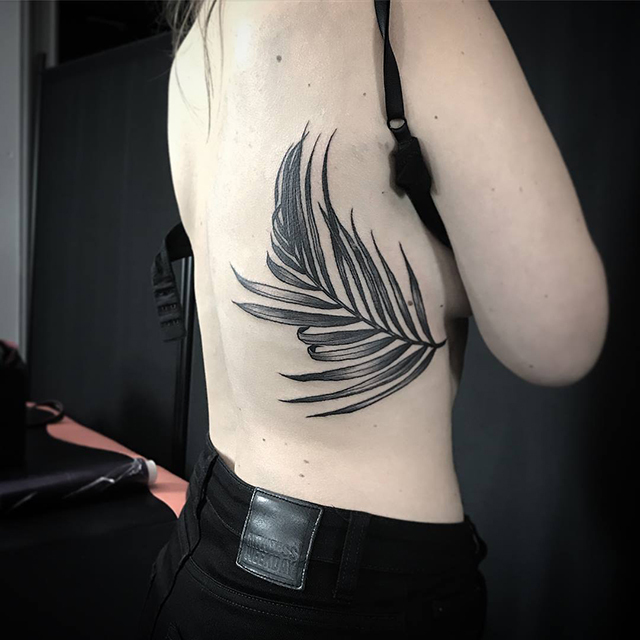 In Scriptorium Berlin you will find several resident tattoo artists with significant individual styles and frequent guest artists from all around the world. 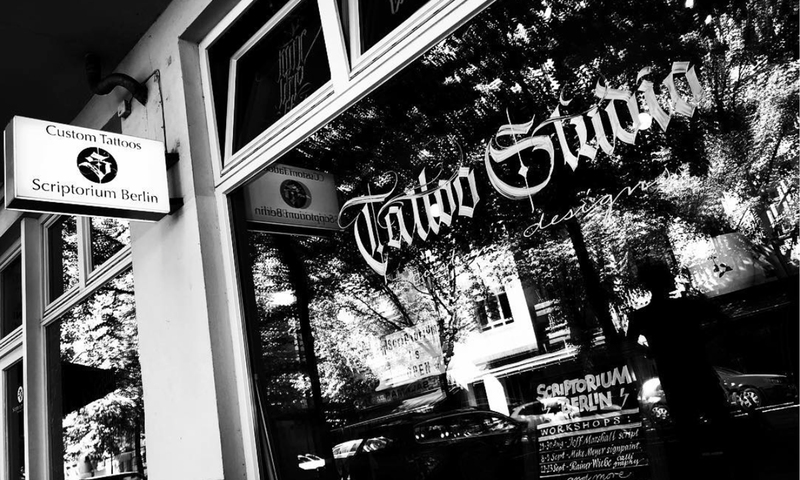 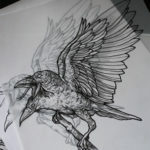 Scriptorium Berlin is not only a tattoo studio. It is a multifunctional art space that does not only inhabit a gallery room for art exhibitions but also an area for high quality workshops by the top artists in the fields of art, craft and design. 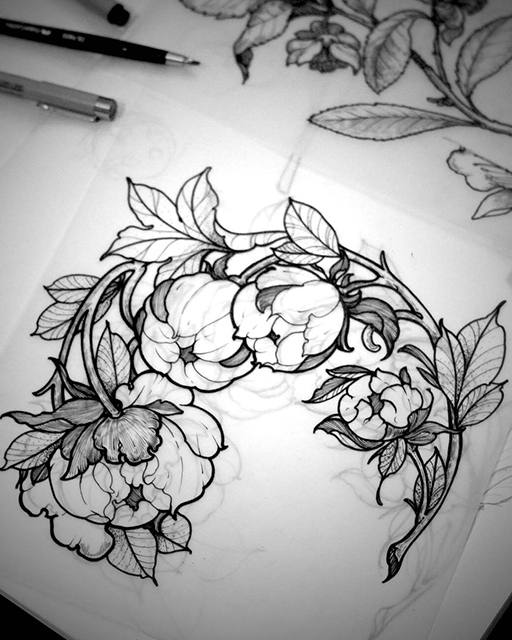 Founded by renowned calligrapher, tattooer and industrial designer Adam Romuald Klodecki aka ‘Theosone’ who has not only been working in all kinds of design genres for the past years but additionally been teaching his craft in multiple workshops, it is our biggest concern to not only make the Scriptorium a place to experience art but to gather and exchange knowledge about different craftwork. 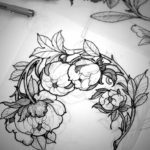 Therefore we constantly invite experts in fields of calligraphy, sign painting and more to host workshops in our gallery space. 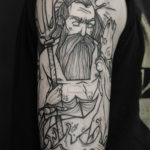 Adam ‘Theosone’, the founder and owner of the Scriptorium. 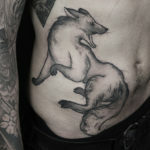 Adam was born in Bialystok (Poland) in 1984. 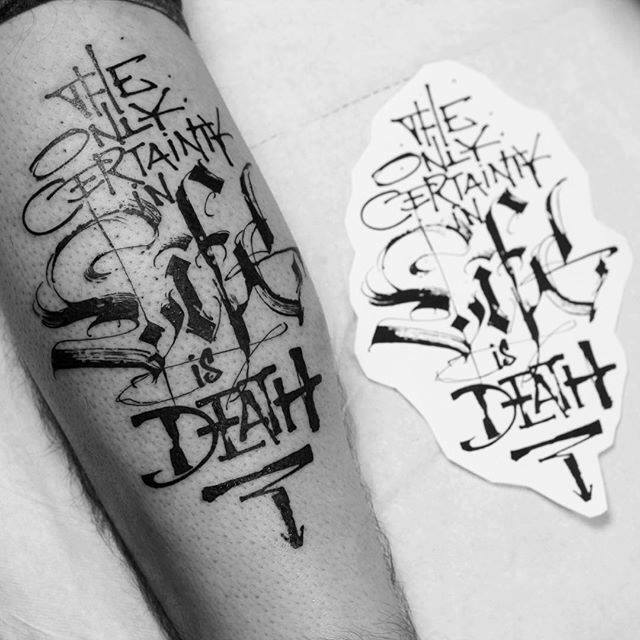 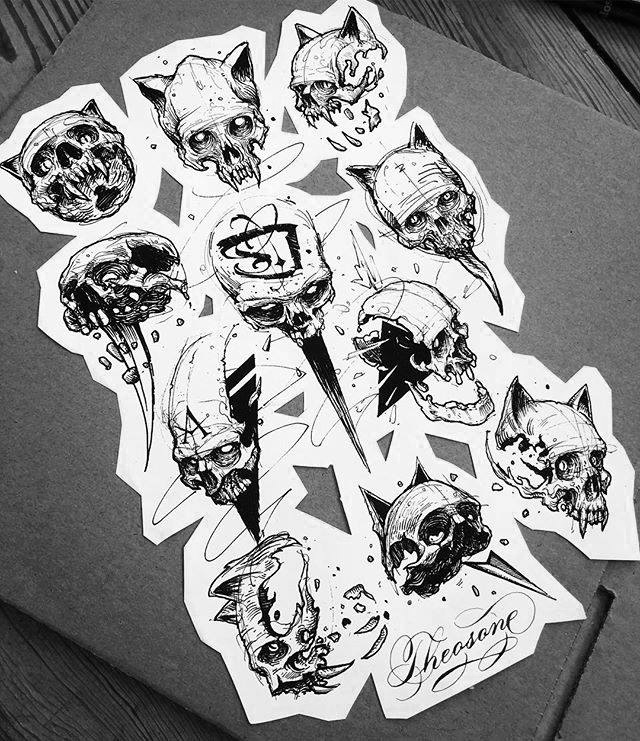 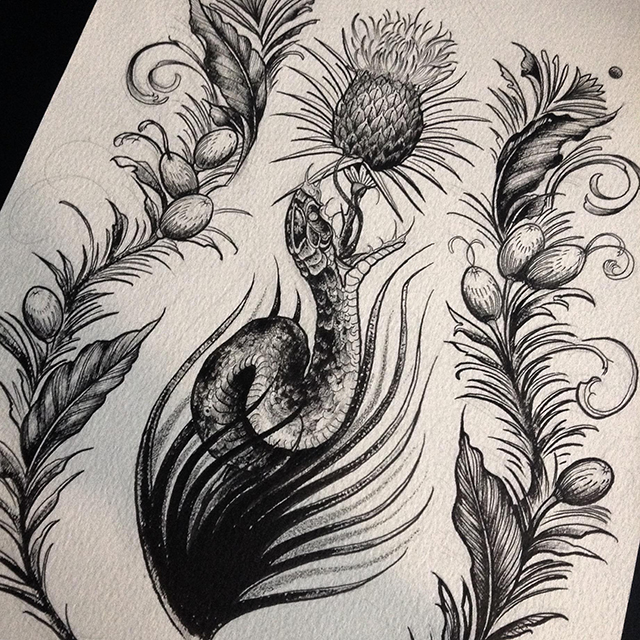 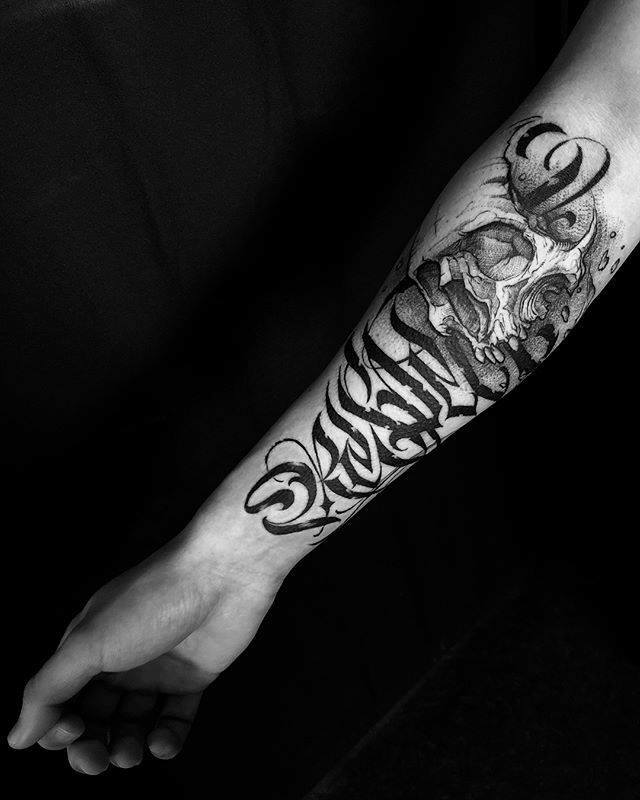 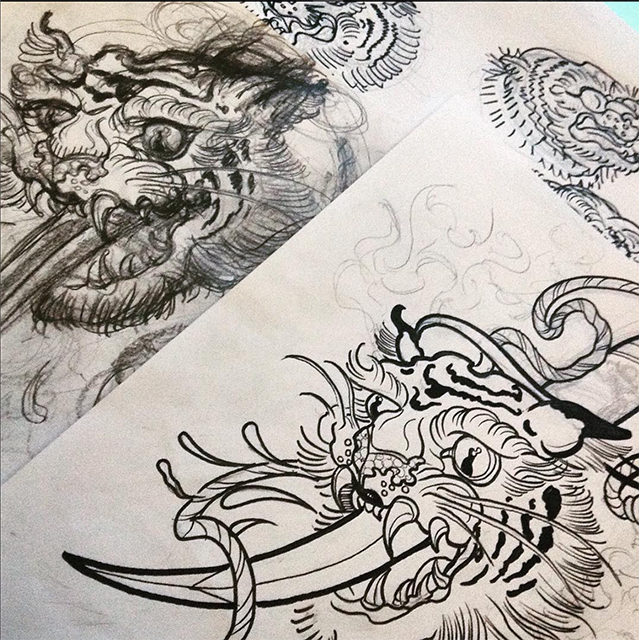 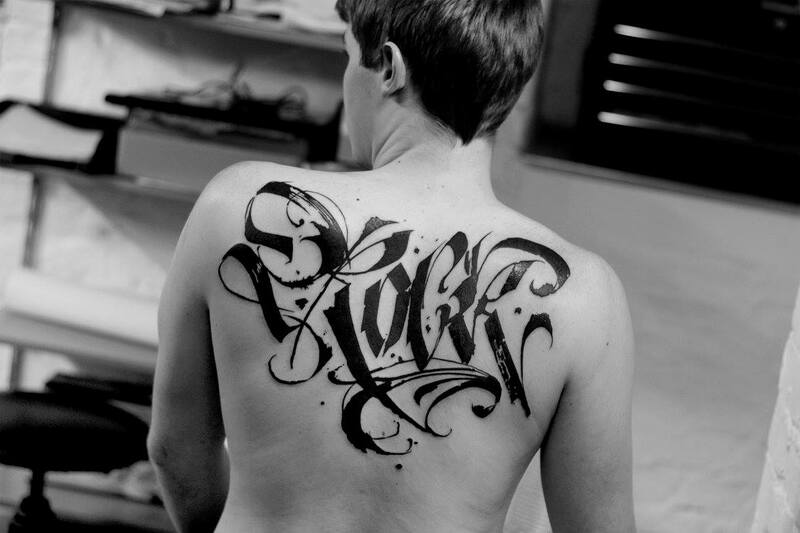 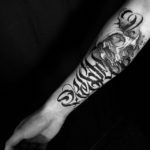 He is a calligrapher, industrial designer and tattoo artist, also interested in illustration and street art. 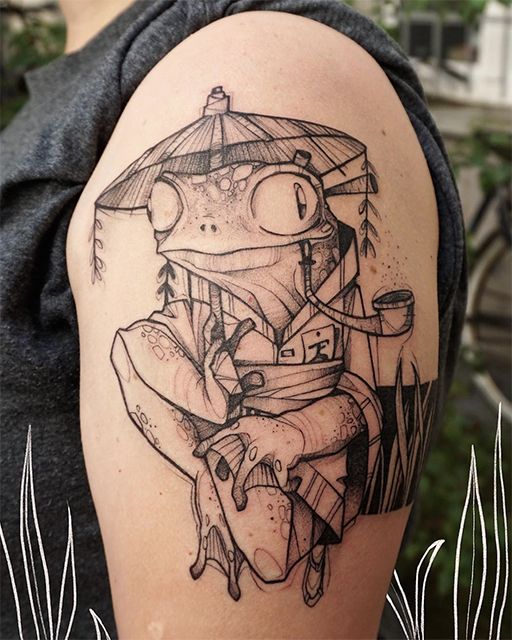 He studied in Poland at the Fine Arts Academy in Gdansk and graduated with a Master of Art degree in product design and visual communication. 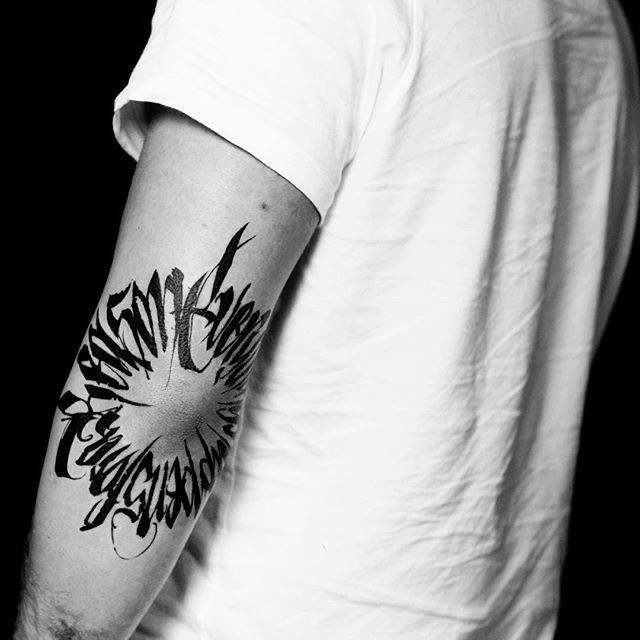 He was honored with the best graduation project award in industrial design in Europe in 2009. 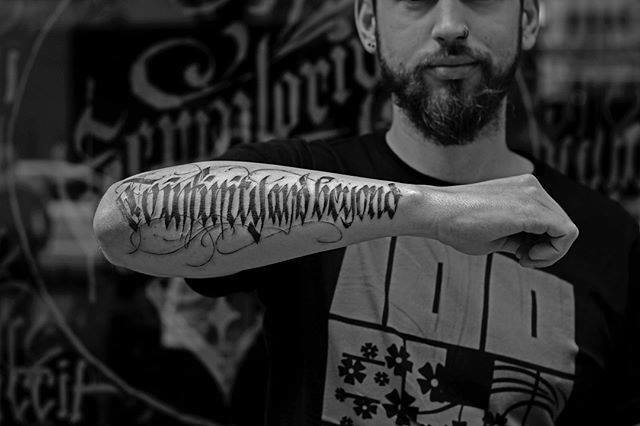 Adam was also active in the polish graffiti scene. 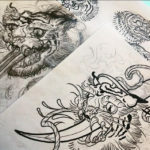 He began the adventure with calligraphy in Art Highschool in Suprasl in 1999. 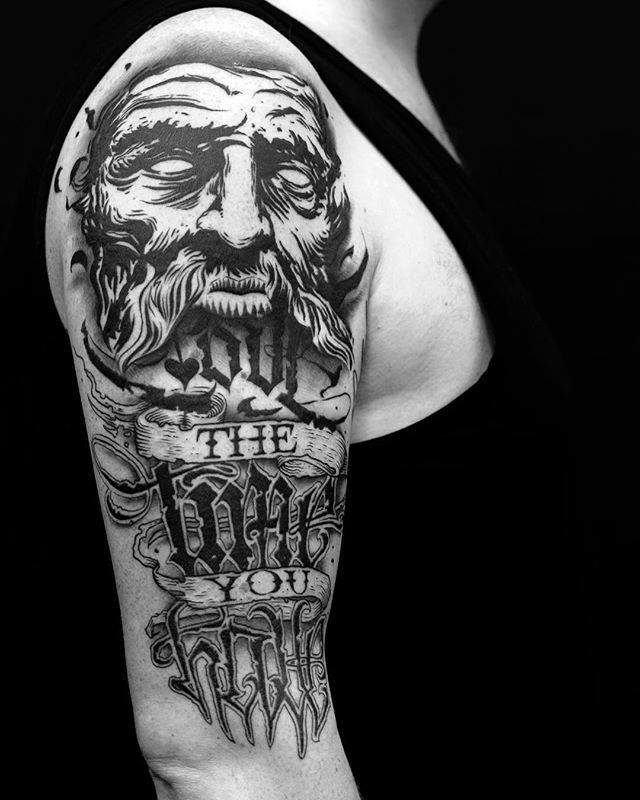 His works of art and design are located all over the world. 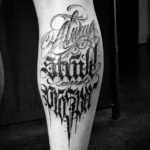 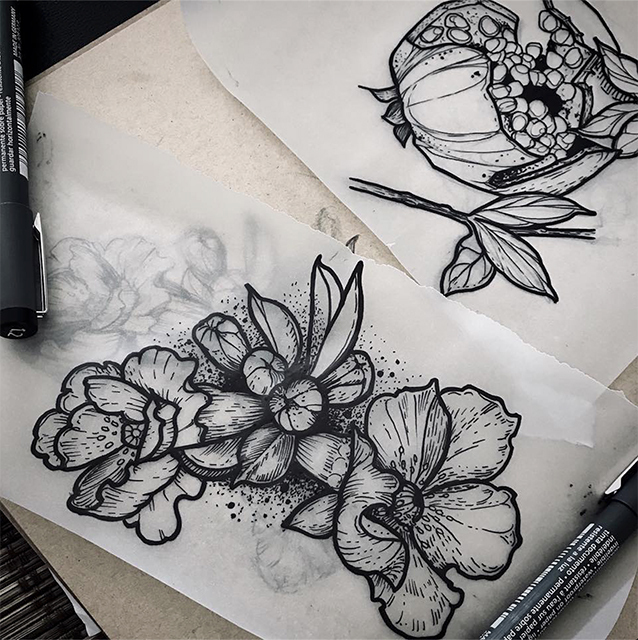 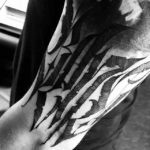 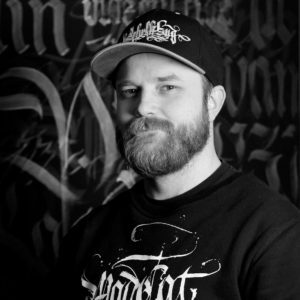 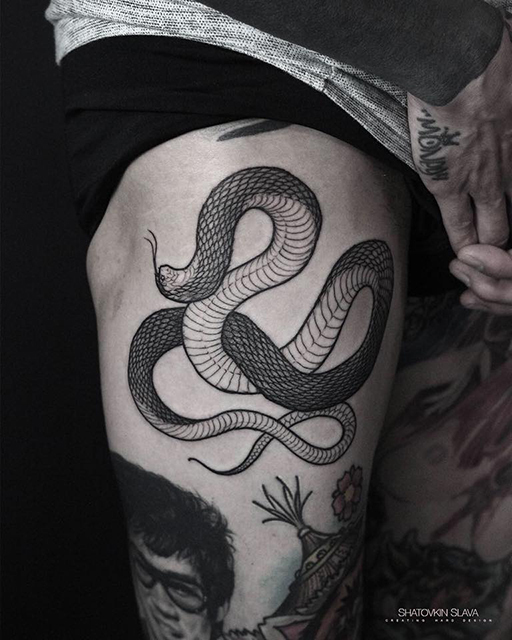 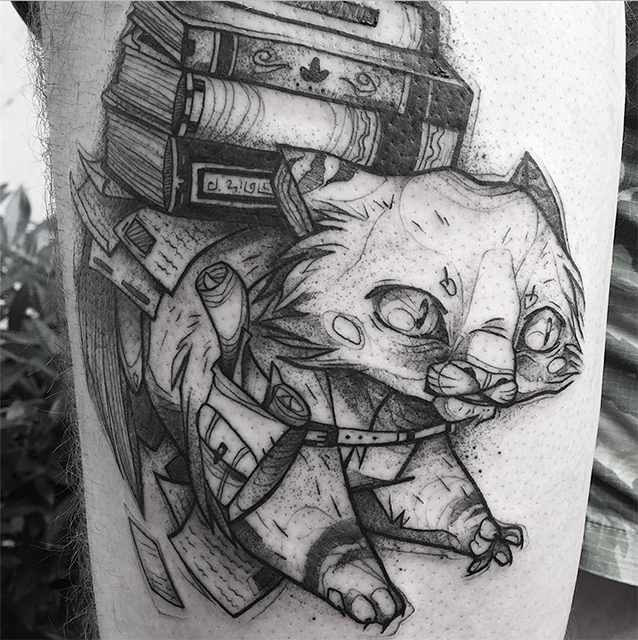 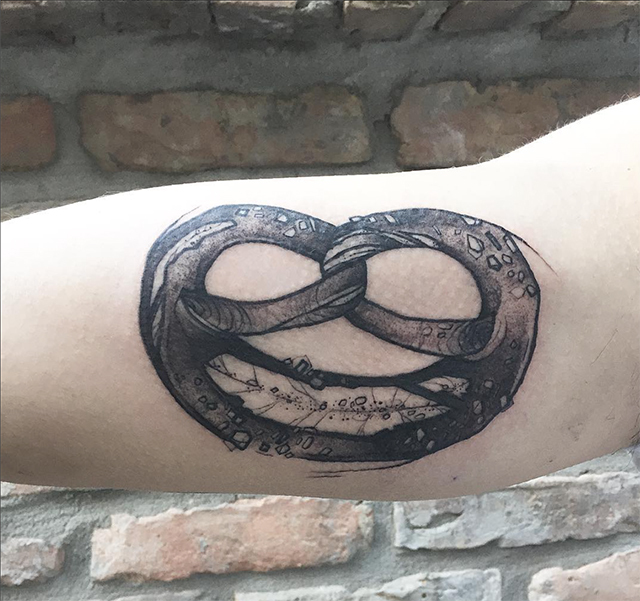 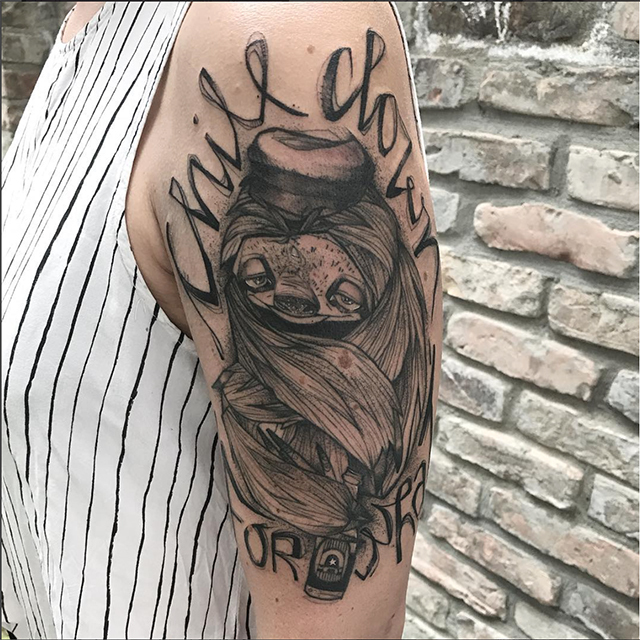 Today Adam is focused on creating lettering tattoos, paintings and traveling with numerous workshops, street art projects and tattoo conventions. 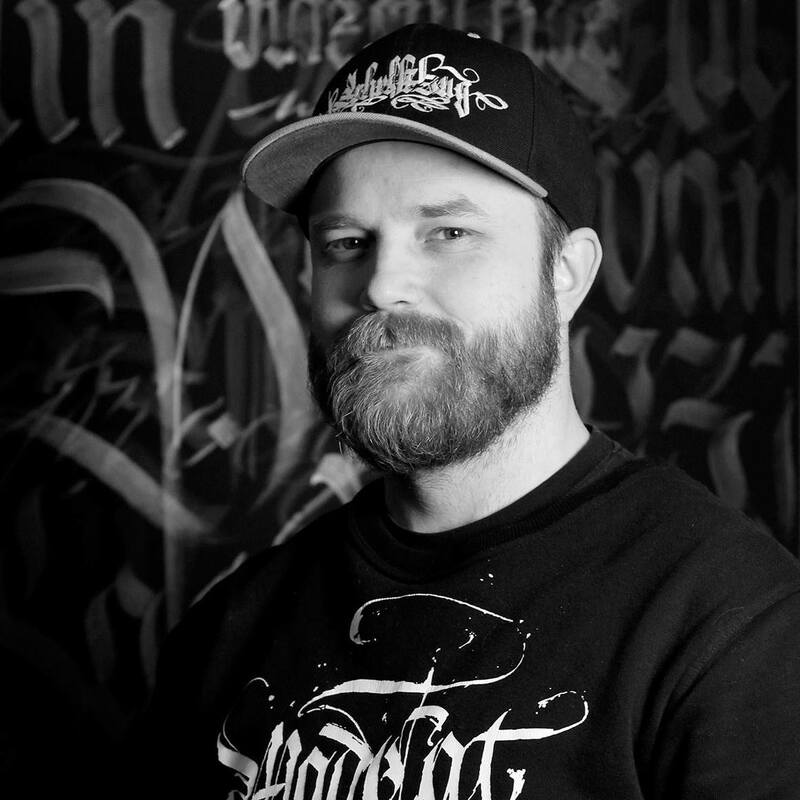 Adam worked for such brands like DC shoes, ESPN ExGames, Lego, Cadillac, Citroen, BMW, Audi, Hennessy and many more. 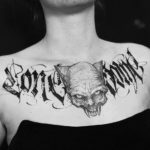 His work is supported by brands like Montana Cans, Royal Talens, Liquitex, Conte, Letraset, Pilot, Grog, Arches, Moleskine and a few more. 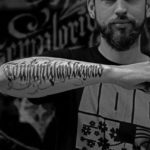 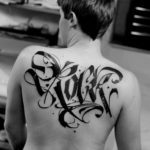 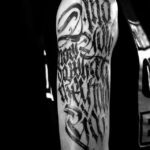 He is a part of ATAK crew, Goverdose collective, cofounder of Calligraphy Masters – online inspirational magazine and the person behind the idea of Calligraffiti Ambassadors movement. If you want to know more about the artist, you can check his Instagram , Facebook and YouTube websites. 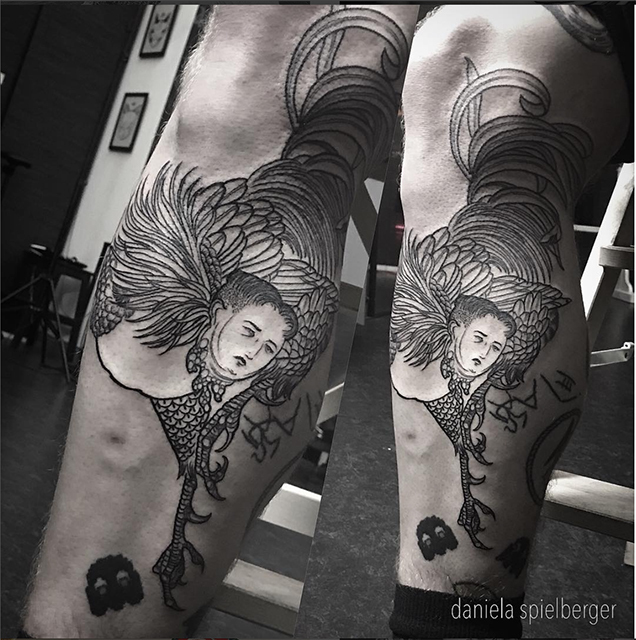 After graduating a Highschool that was focused on fine arts Daniela moved to Vienna to study History of Art at the main university. 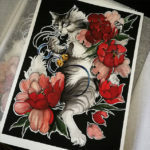 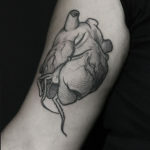 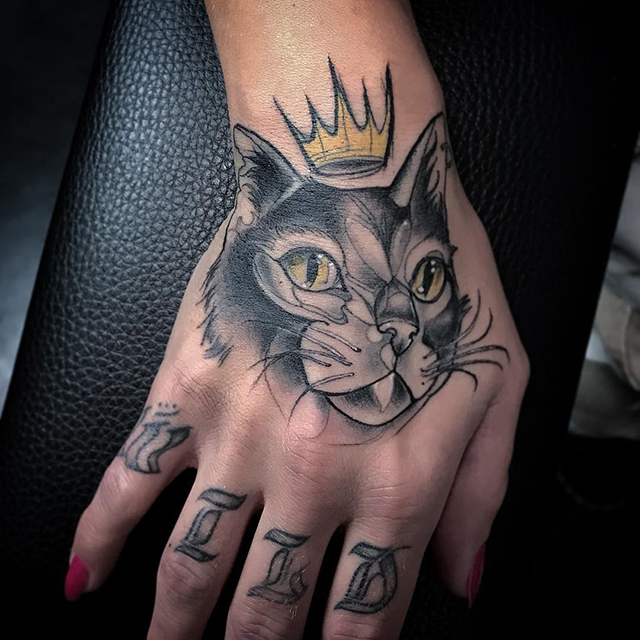 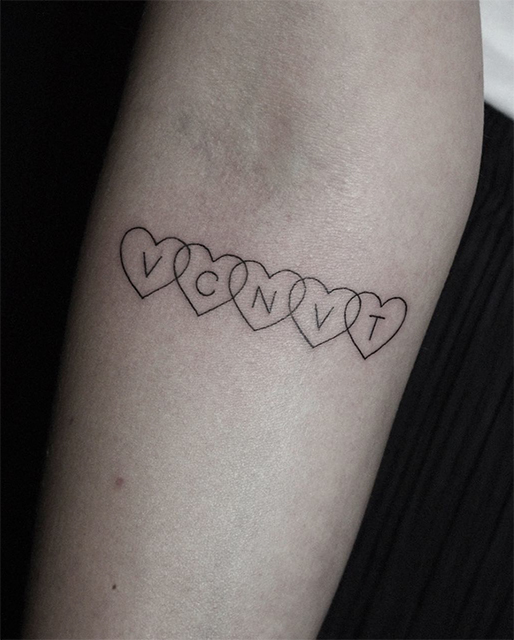 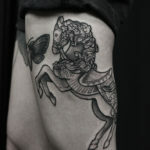 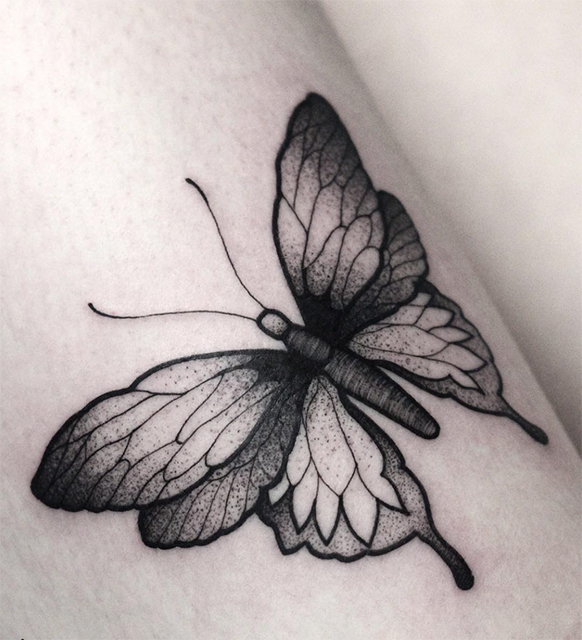 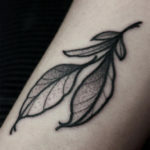 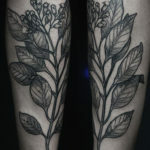 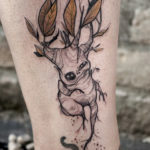 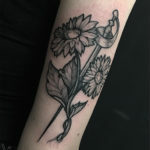 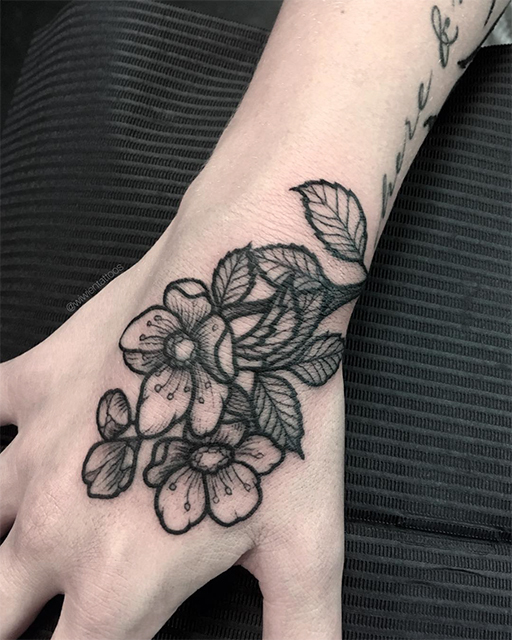 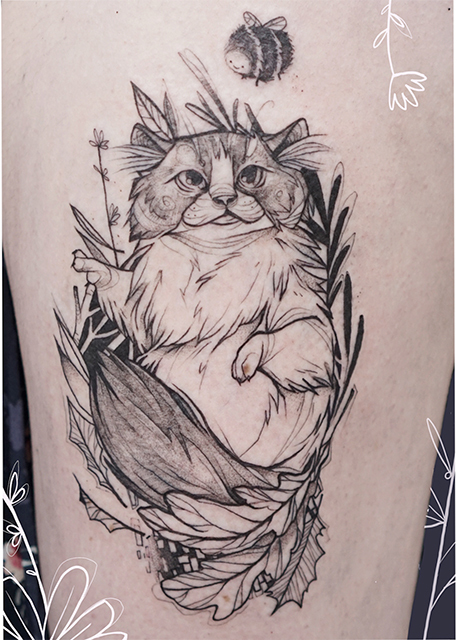 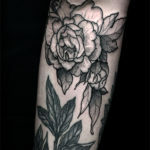 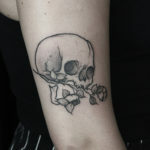 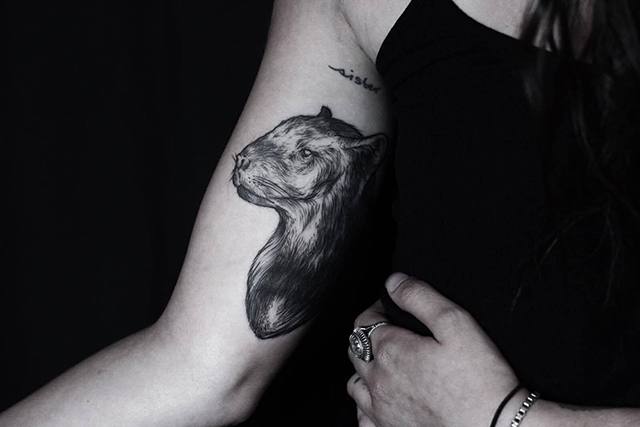 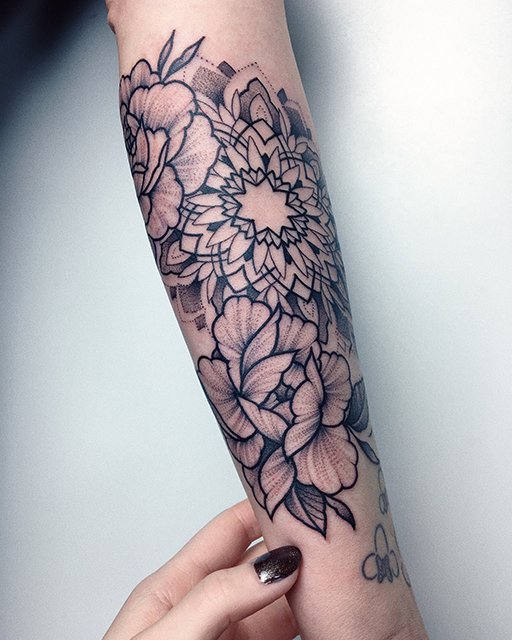 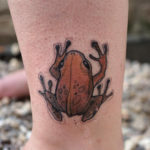 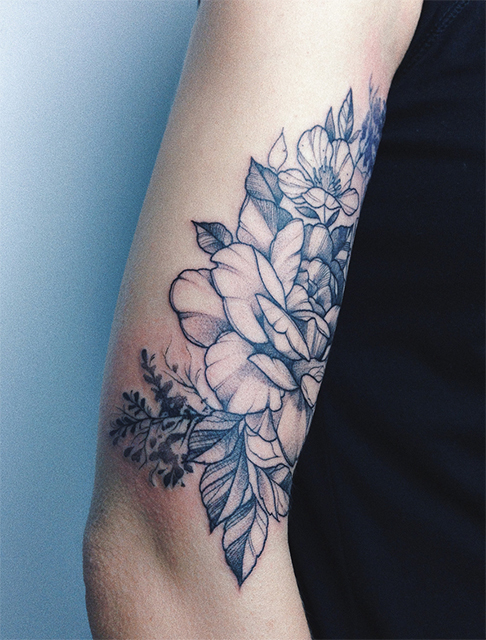 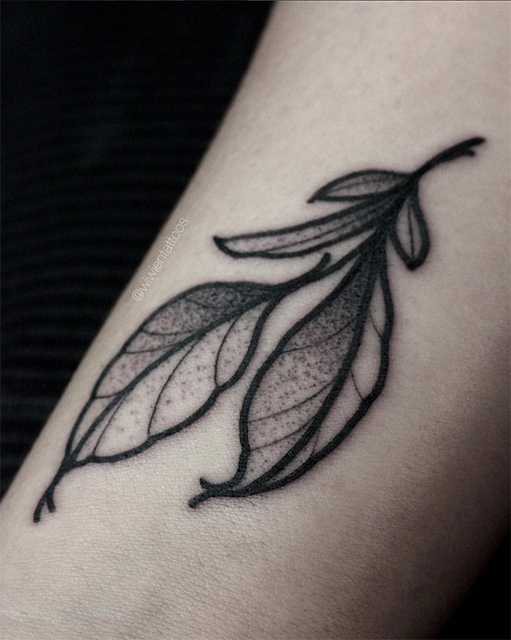 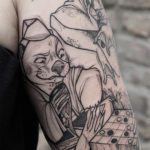 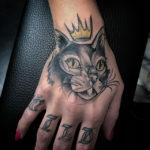 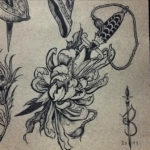 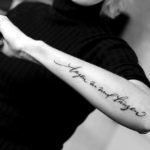 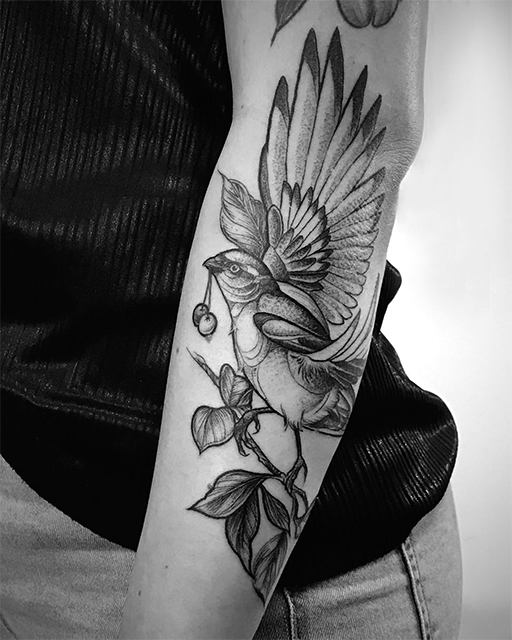 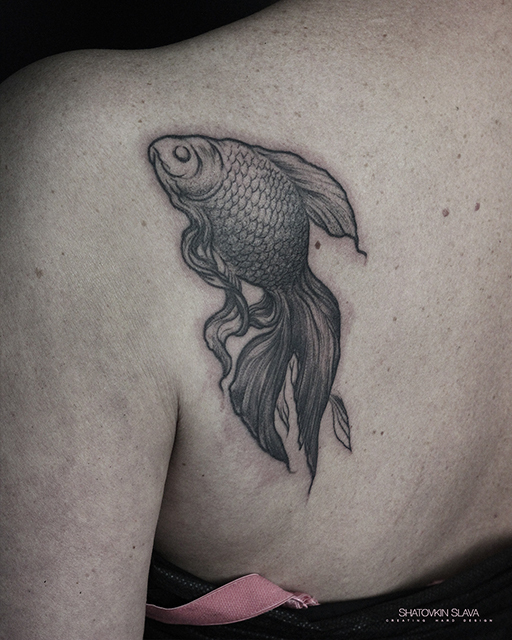 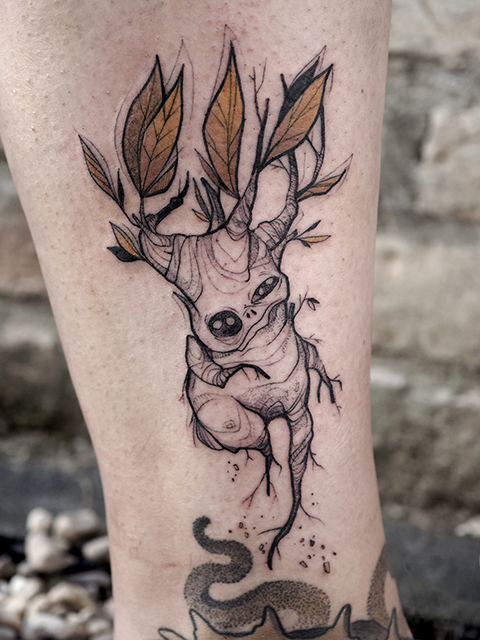 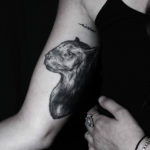 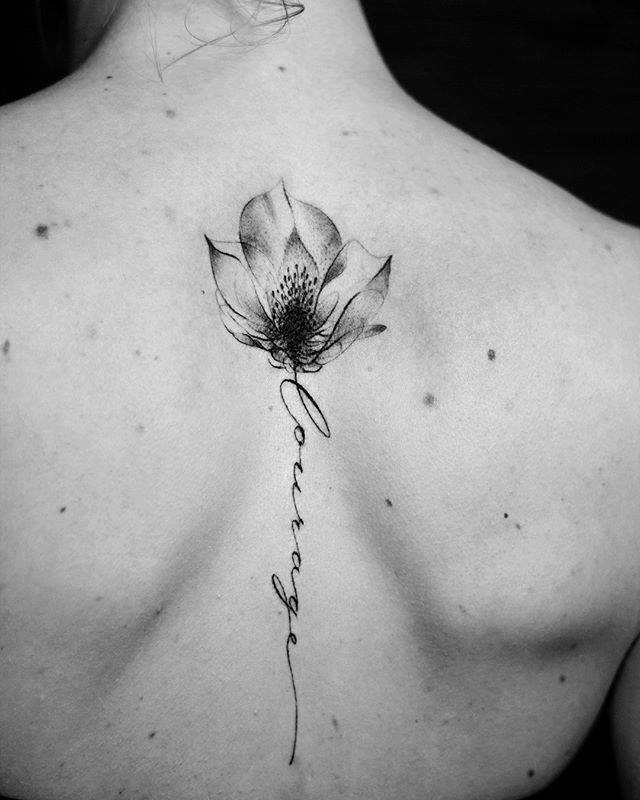 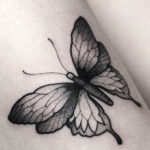 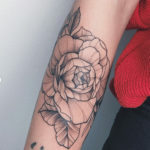 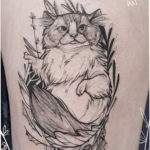 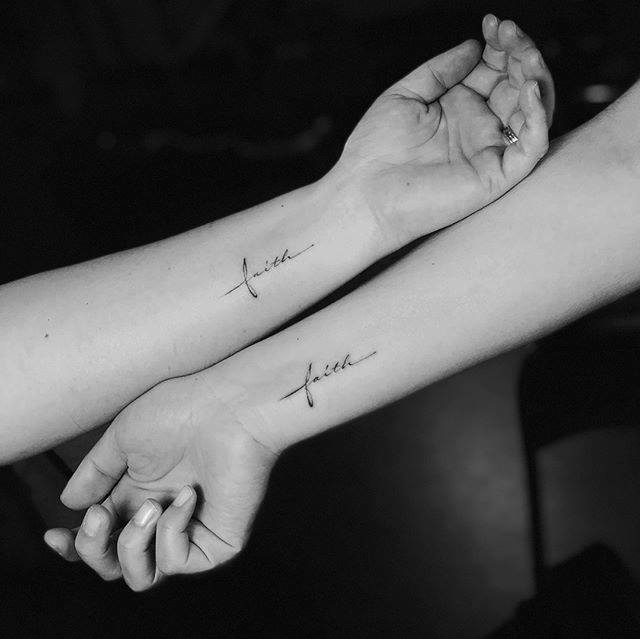 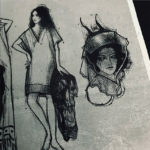 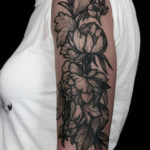 Over the years of studies her interest in the tattoo scene, which was already there since an early age, started growing and besides collecting tattoos on her own skin the desire of becoming a tattooer herself became more and more clear. 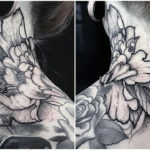 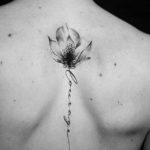 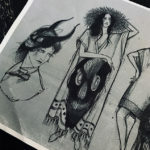 When she finally decided to search for a shop to become an apprentice, there was only one place for her to go -Berlin, the unofficial capital of tattooing. 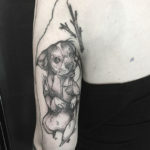 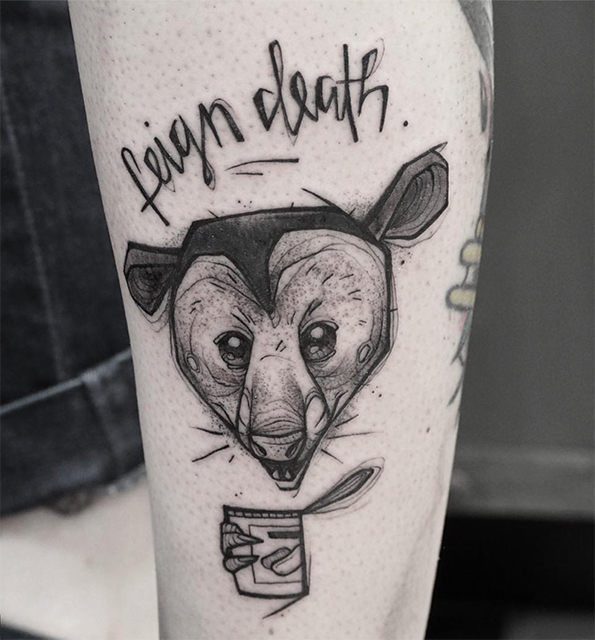 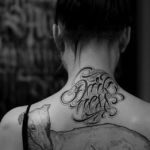 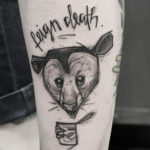 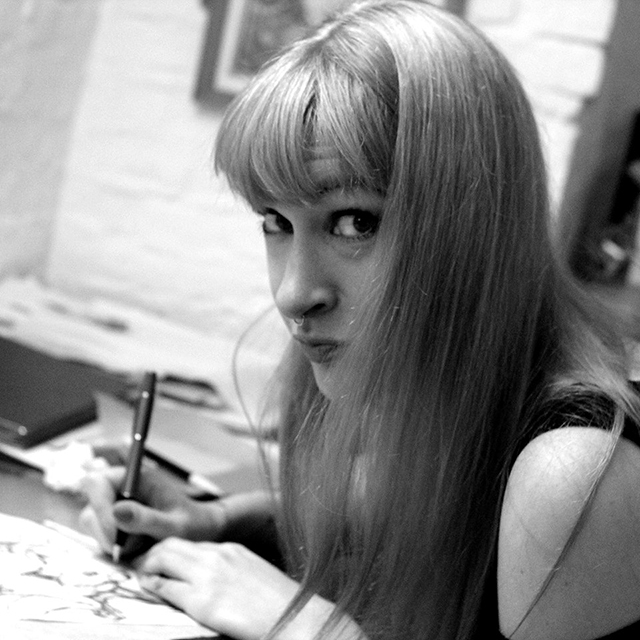 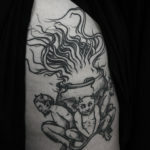 Settling there, she was working with galleries and art curators, writing show texts and organizing exhibitions while learning to tattoo in one of Berlin’s oldest tattoo shops. 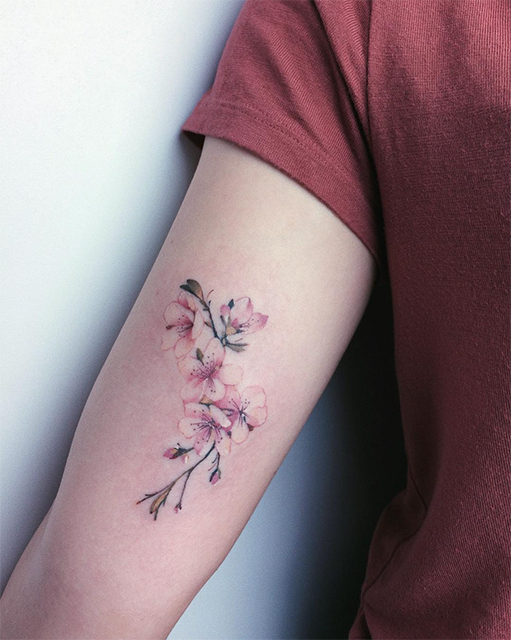 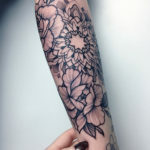 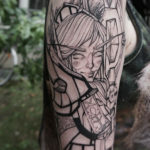 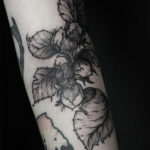 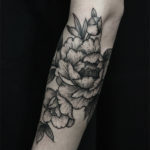 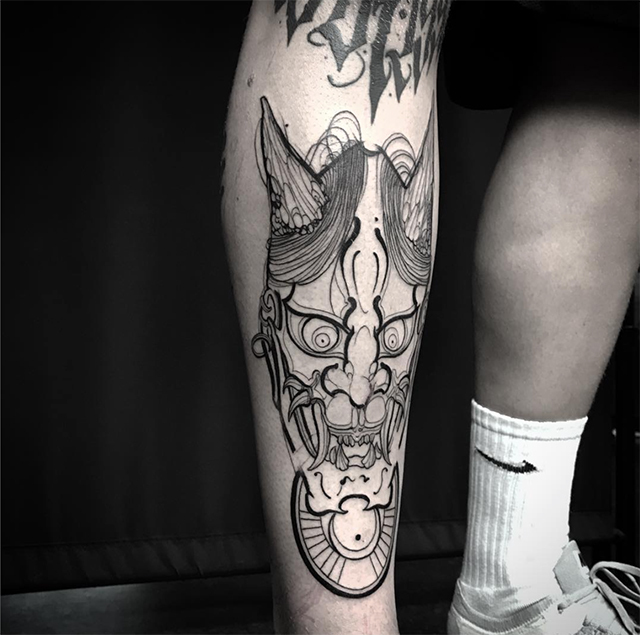 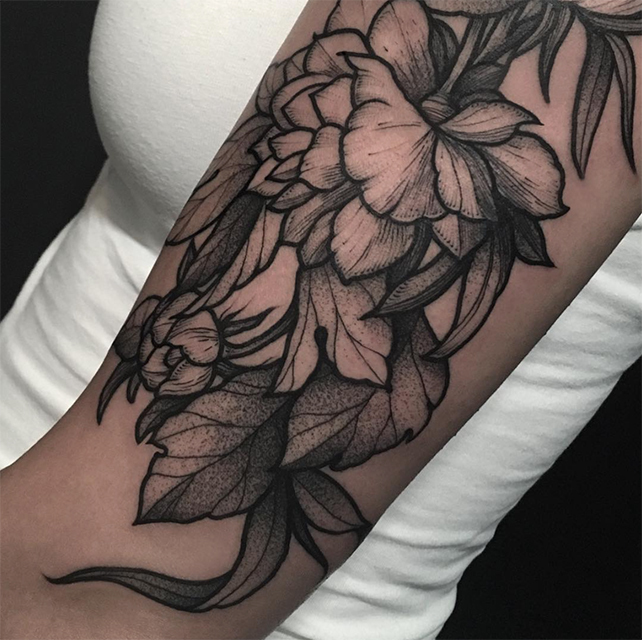 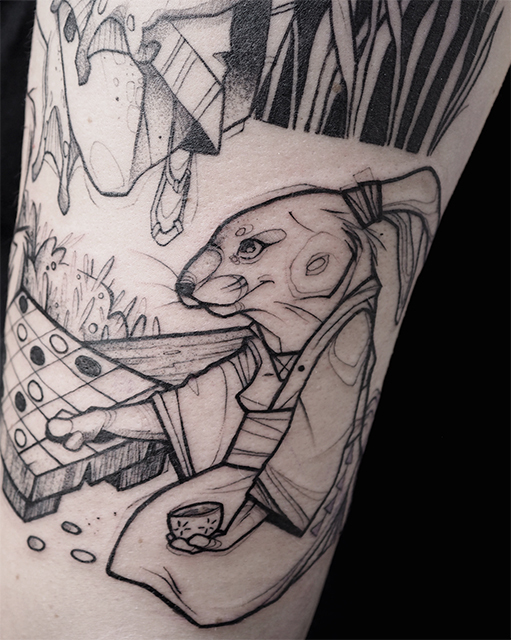 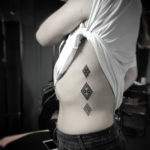 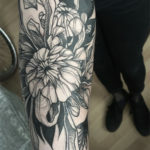 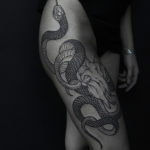 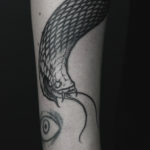 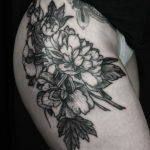 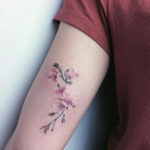 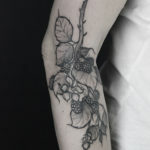 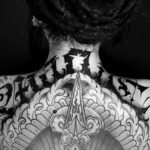 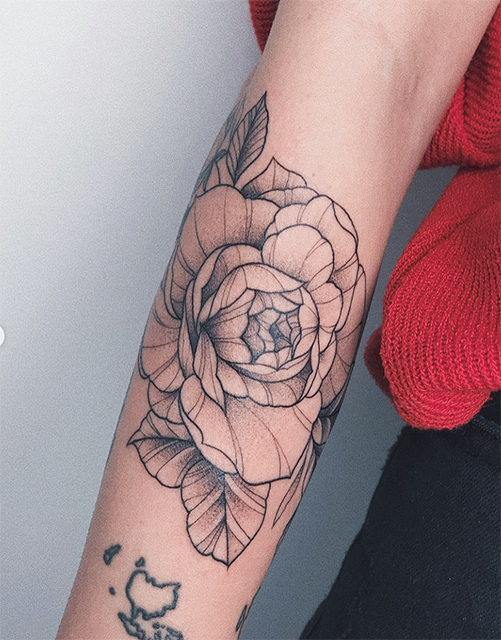 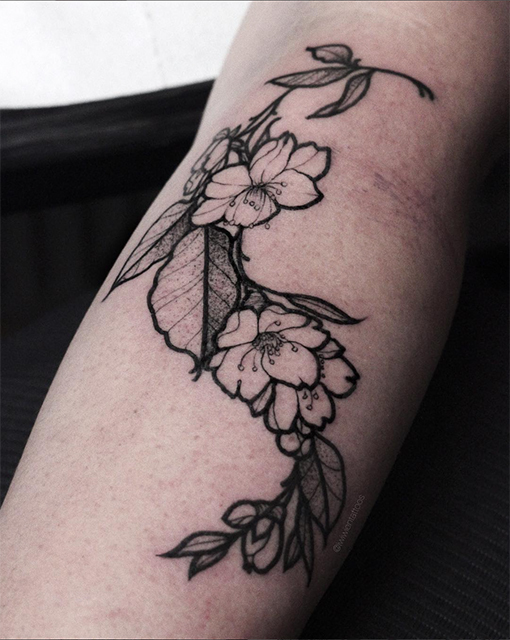 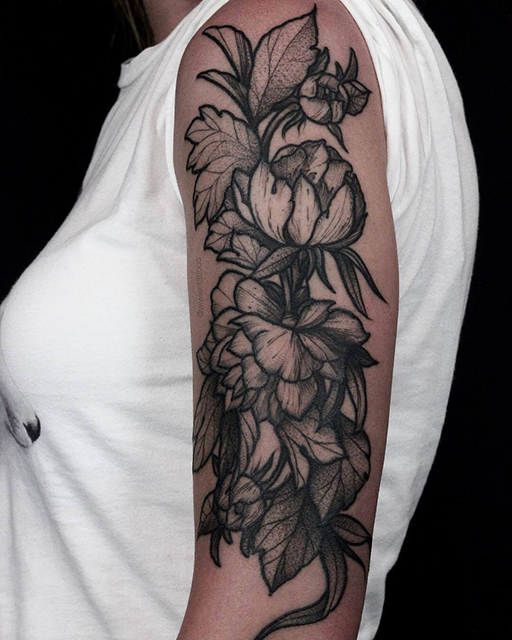 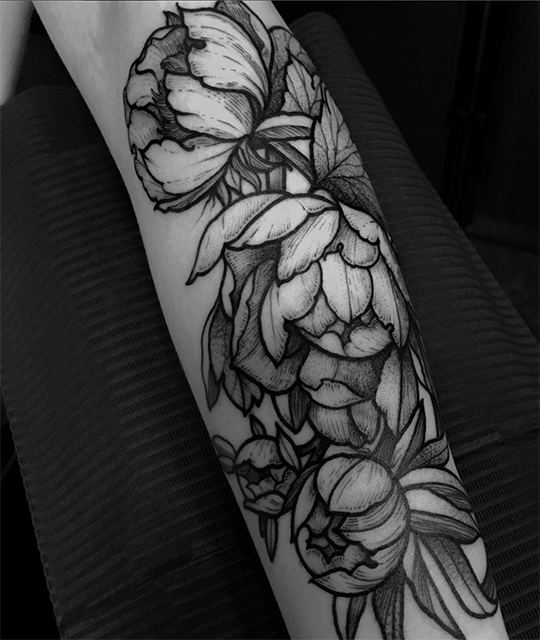 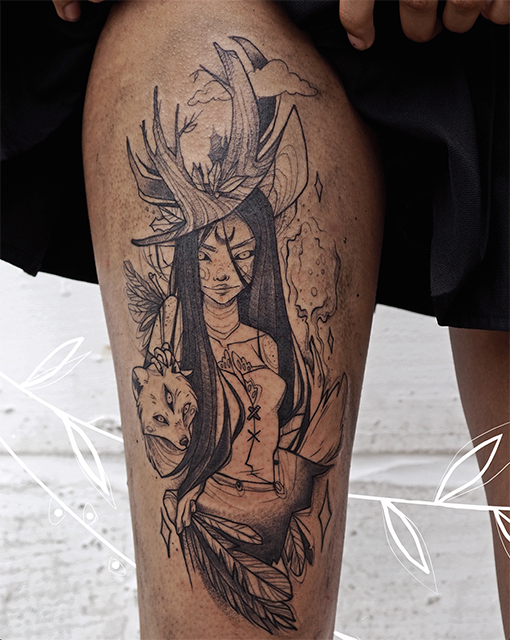 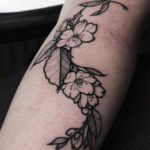 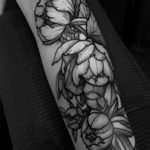 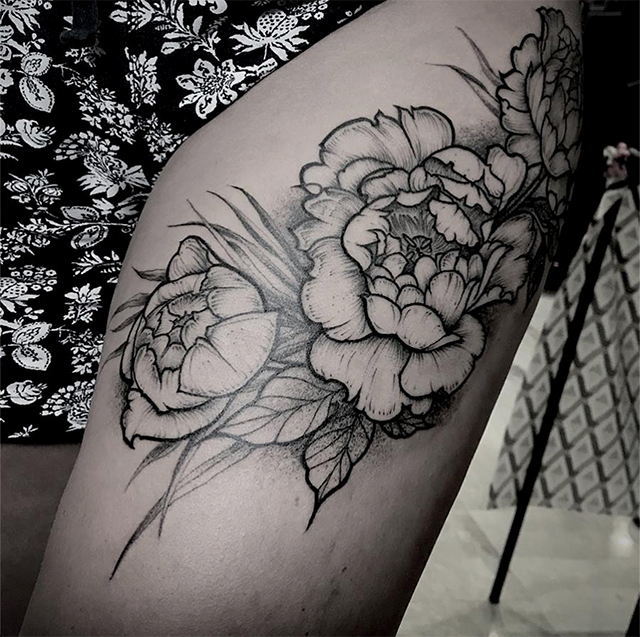 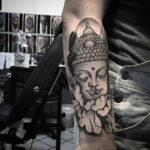 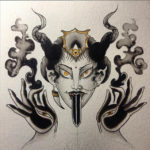 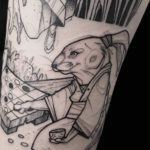 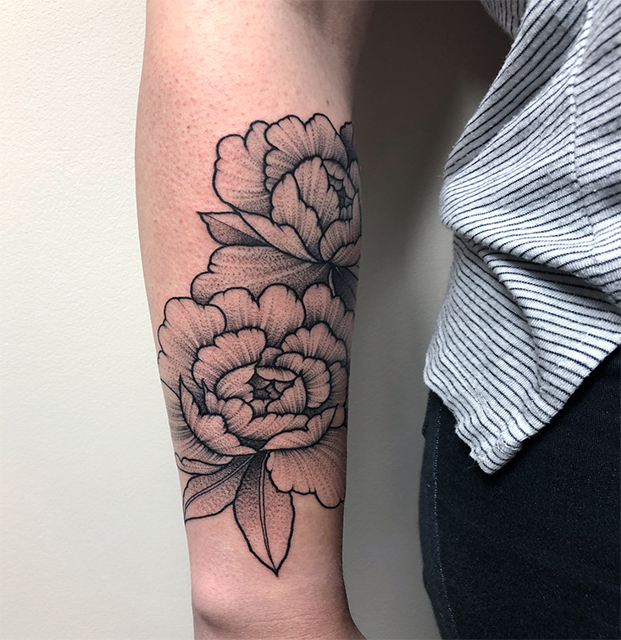 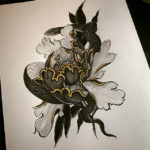 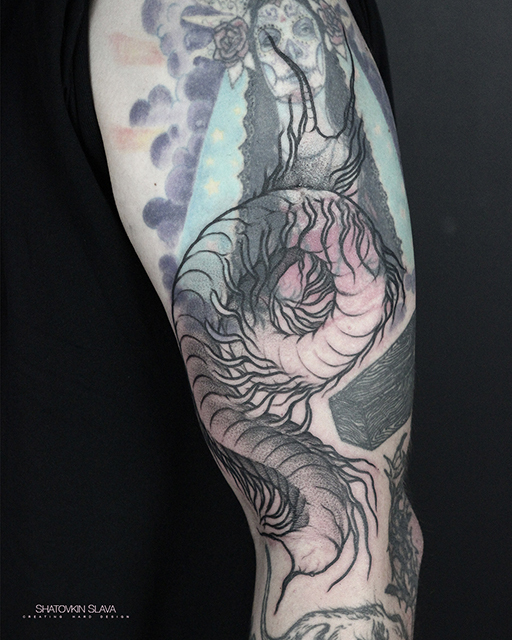 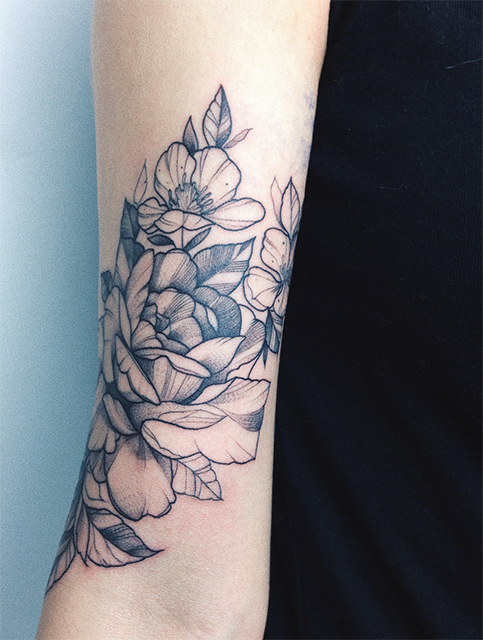 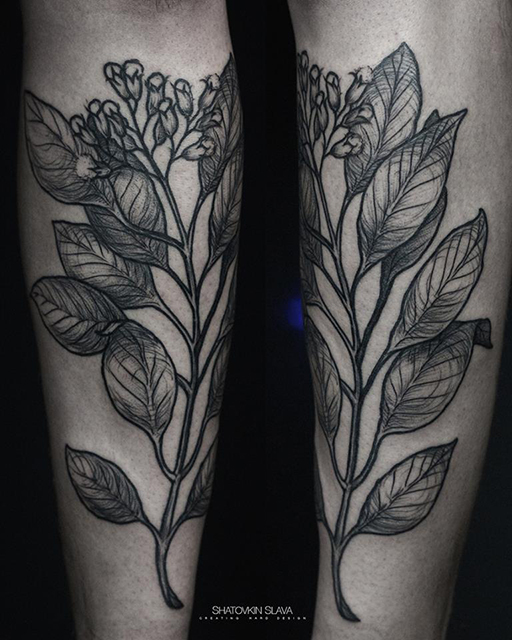 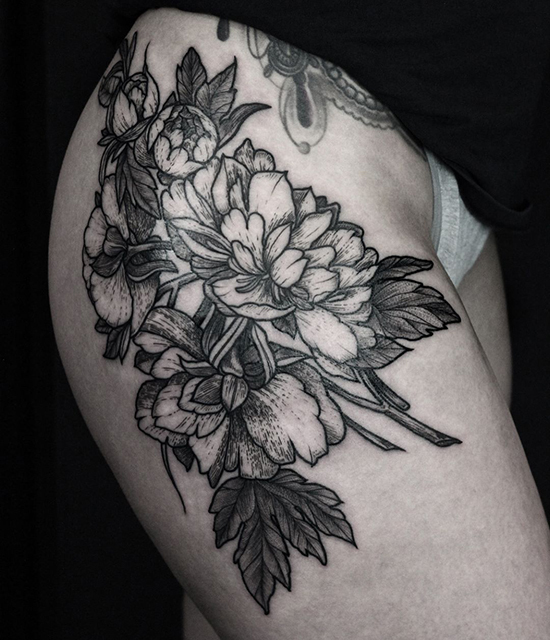 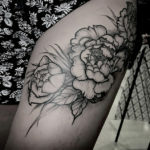 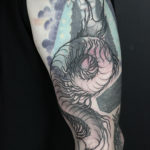 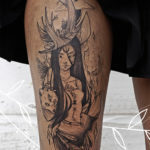 It was always important for her to learn all kind of techniques of tattooing to be able to create her own style inspired by the knowledge she gathered during her studies where she put a special focus on Asian and modern abstract art. 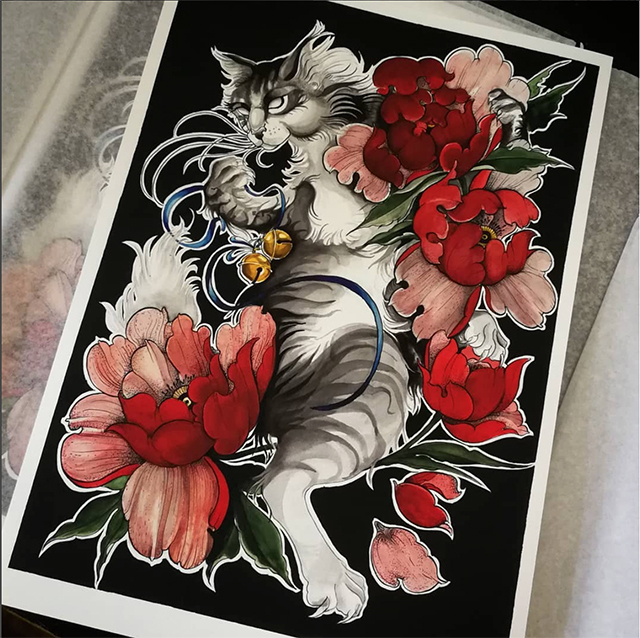 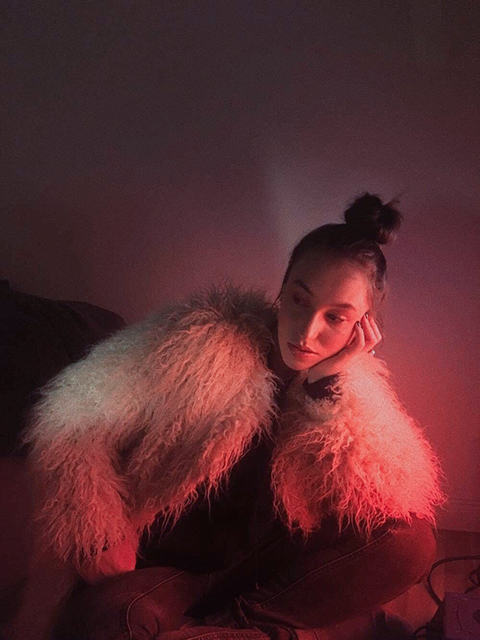 If you want to know more about the artist, you can check her Instagram or Facebook . 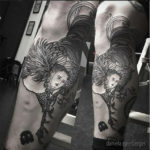 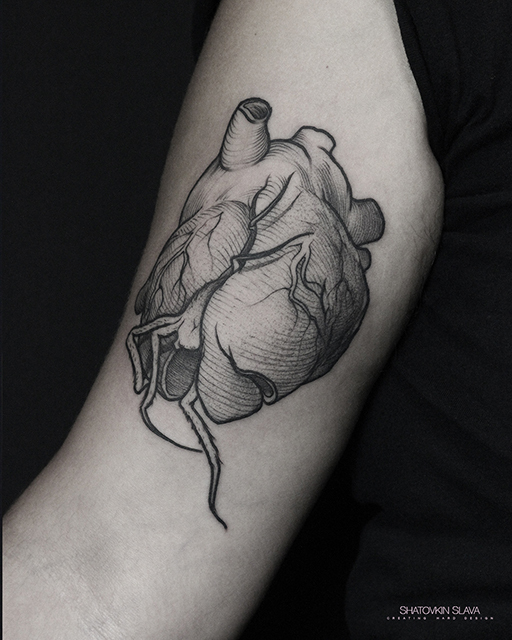 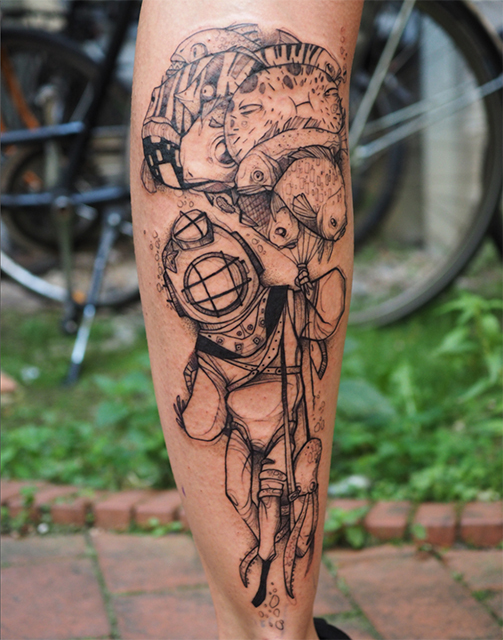 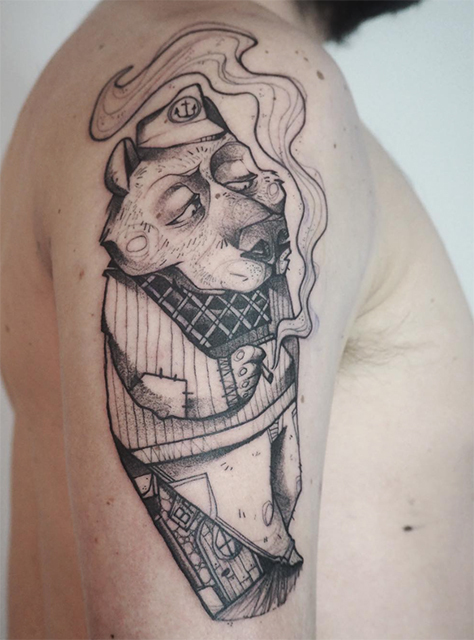 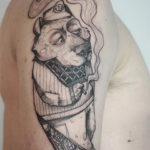 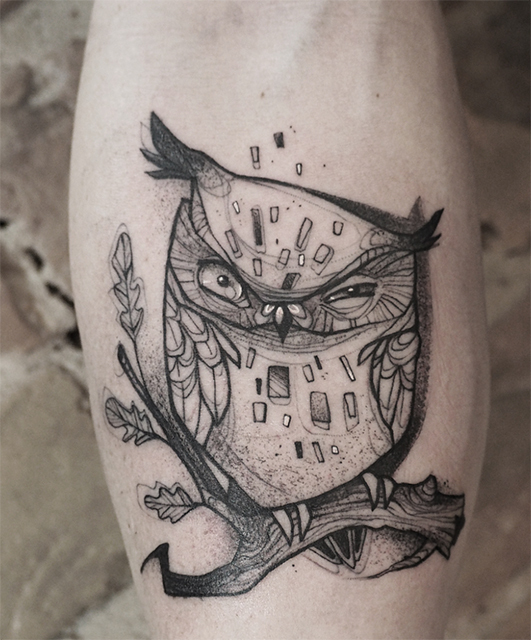 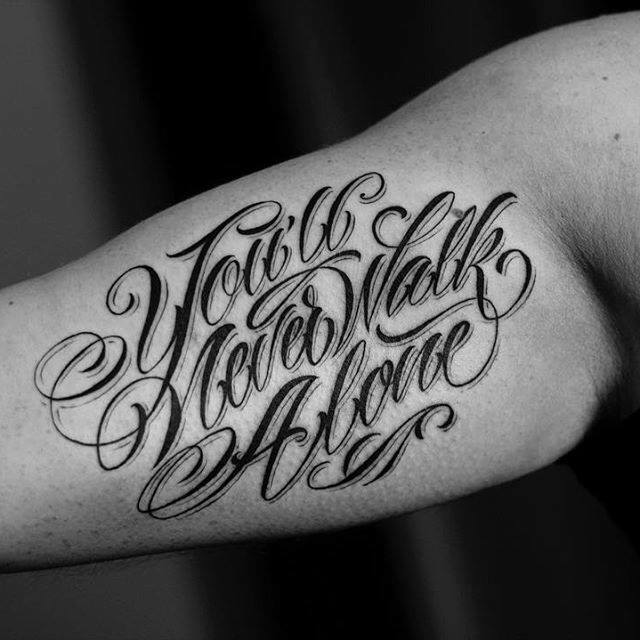 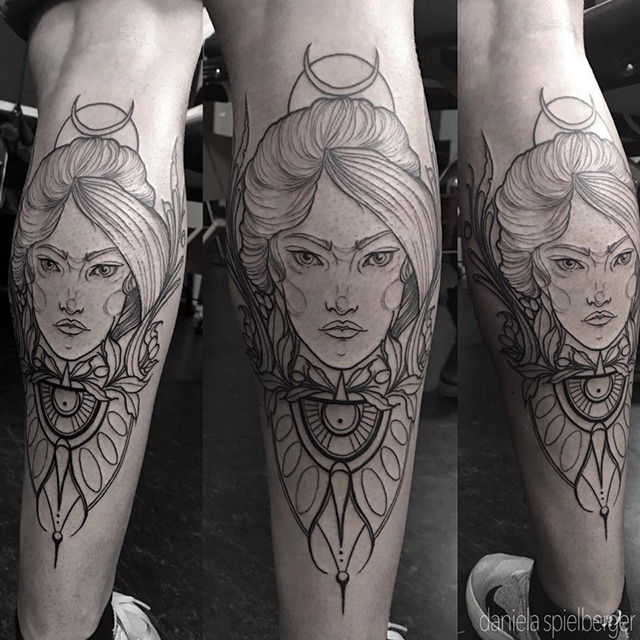 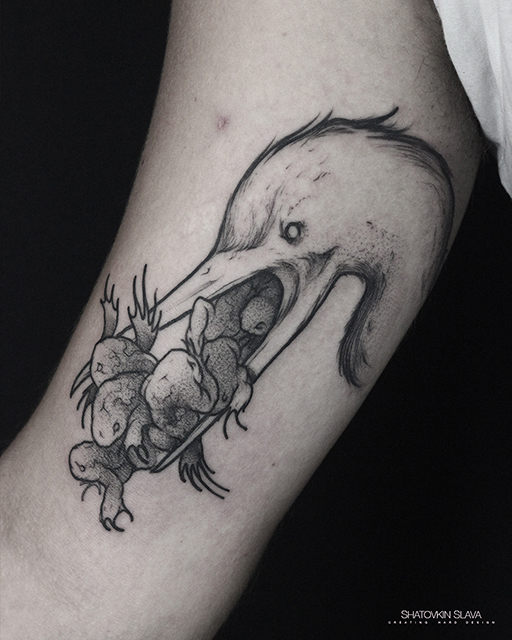 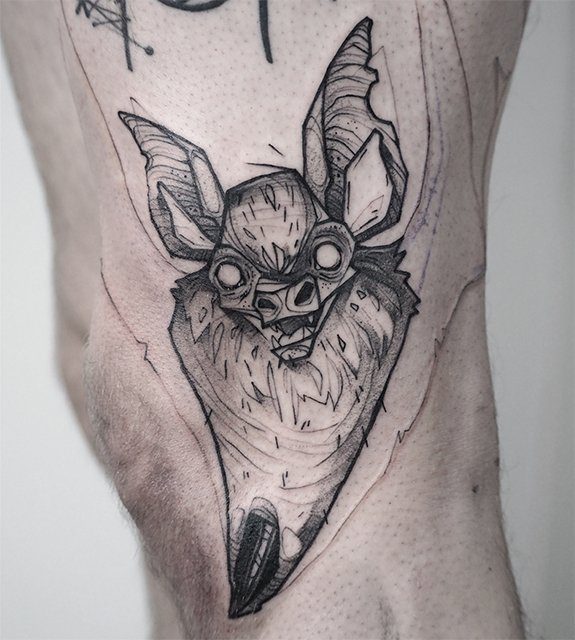 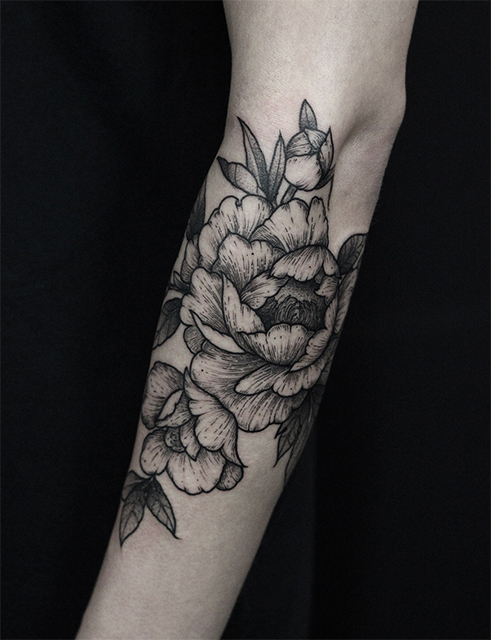 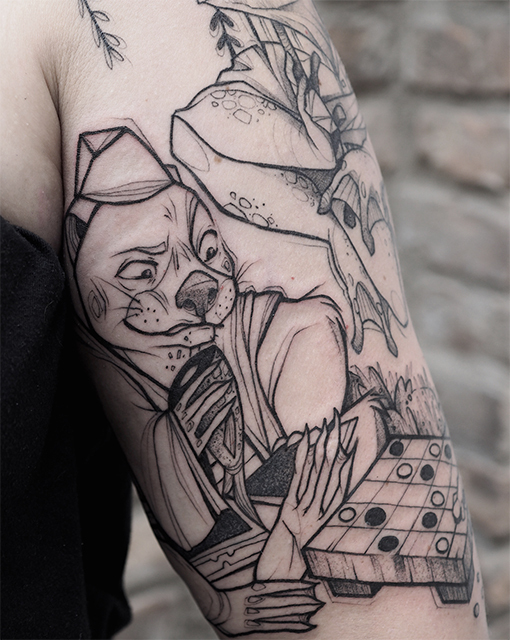 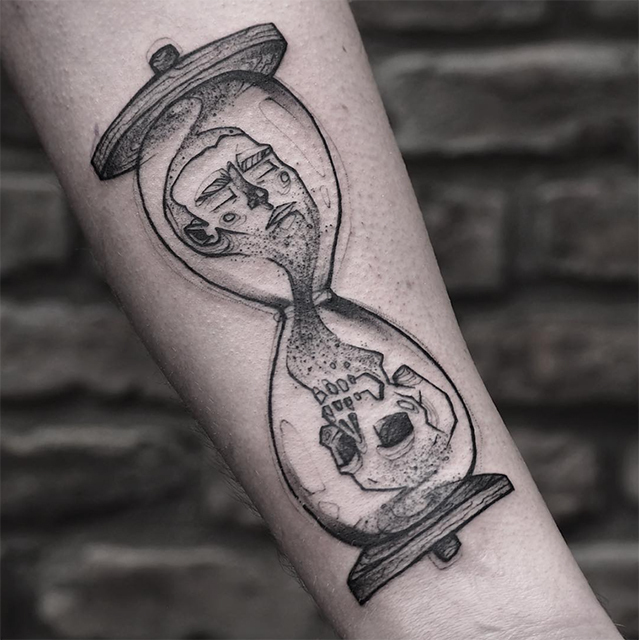 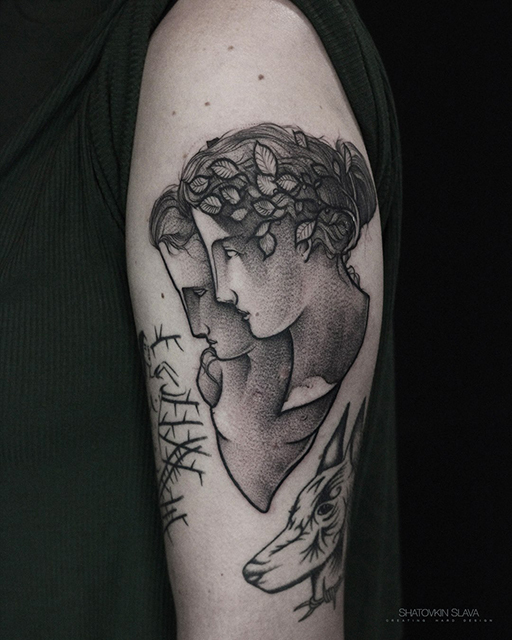 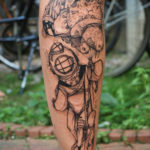 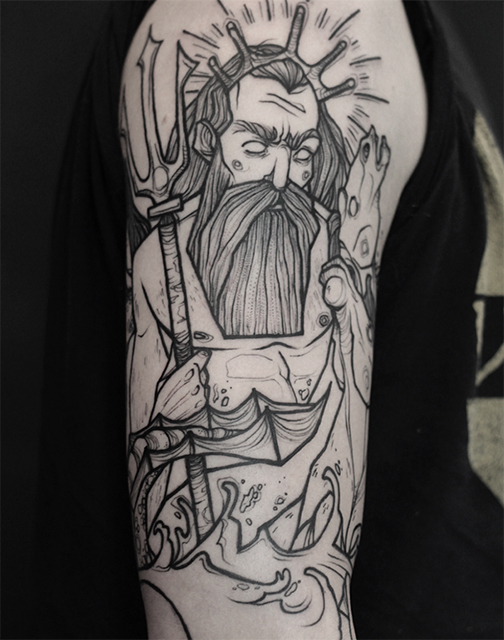 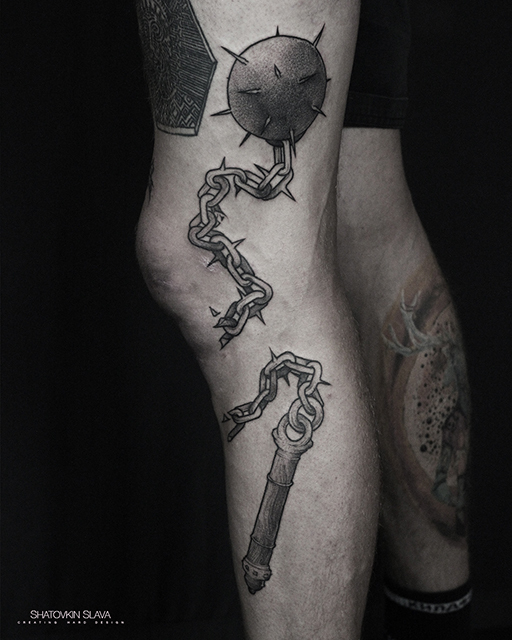 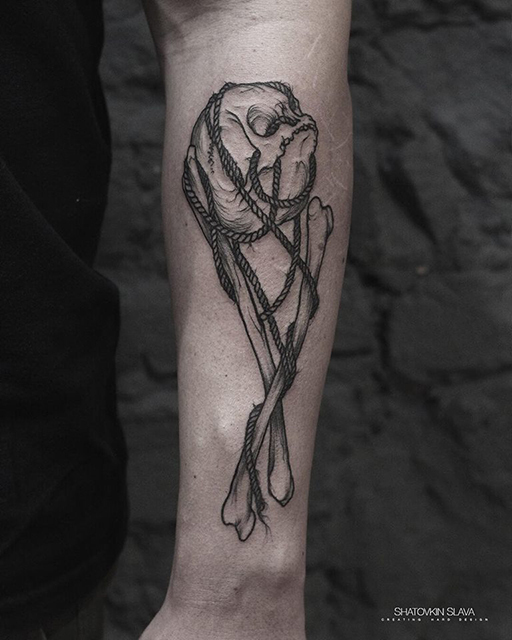 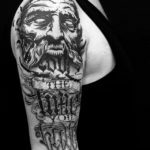 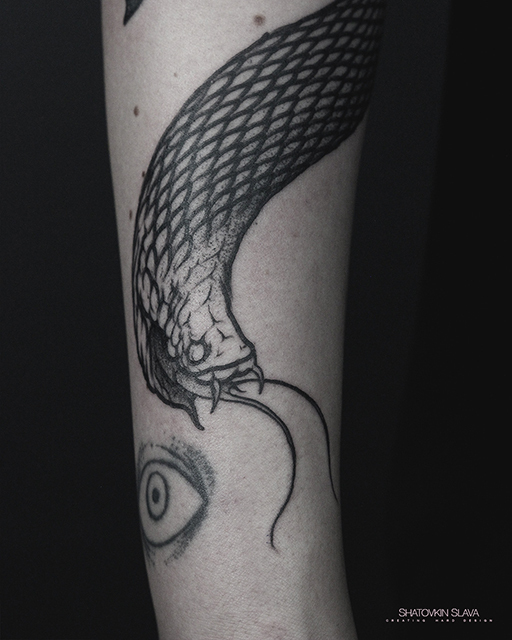 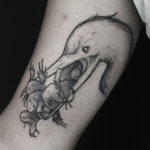 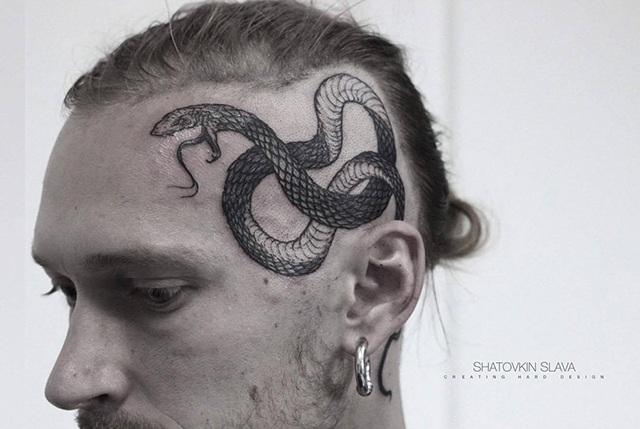 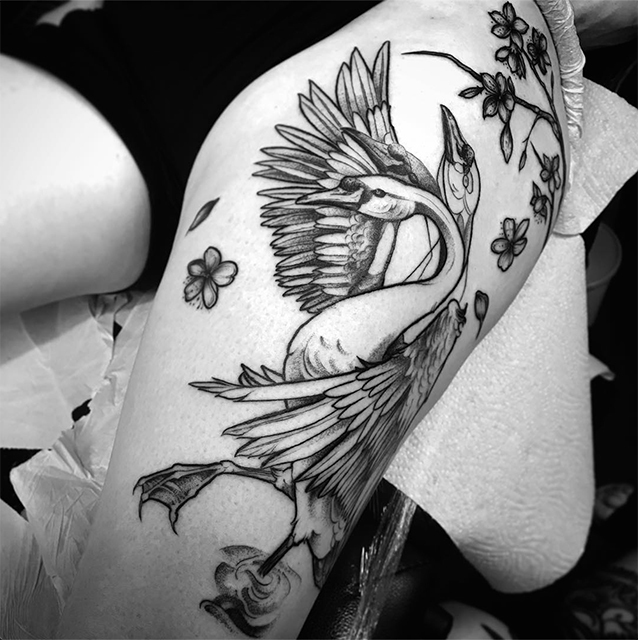 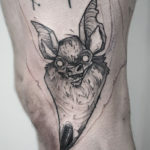 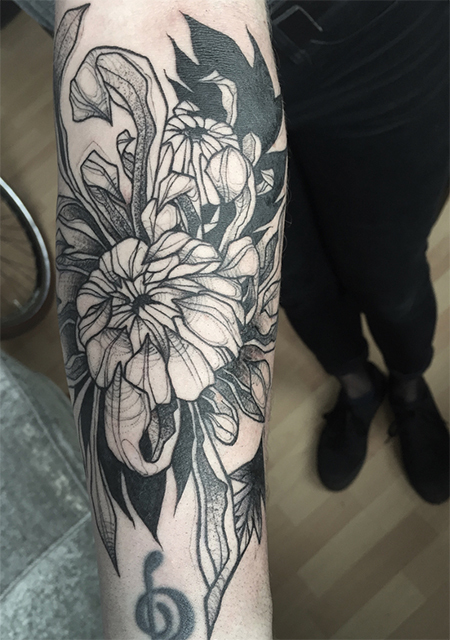 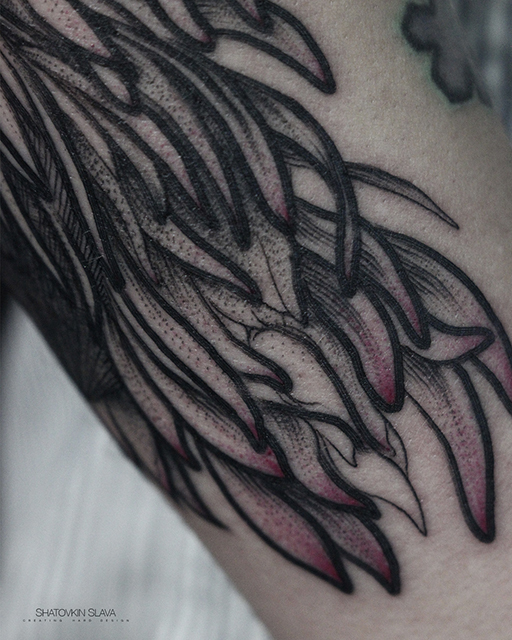 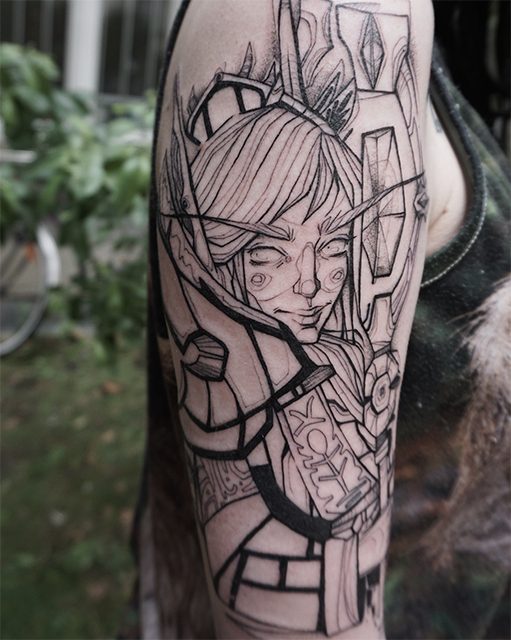 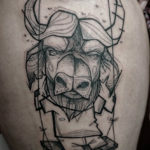 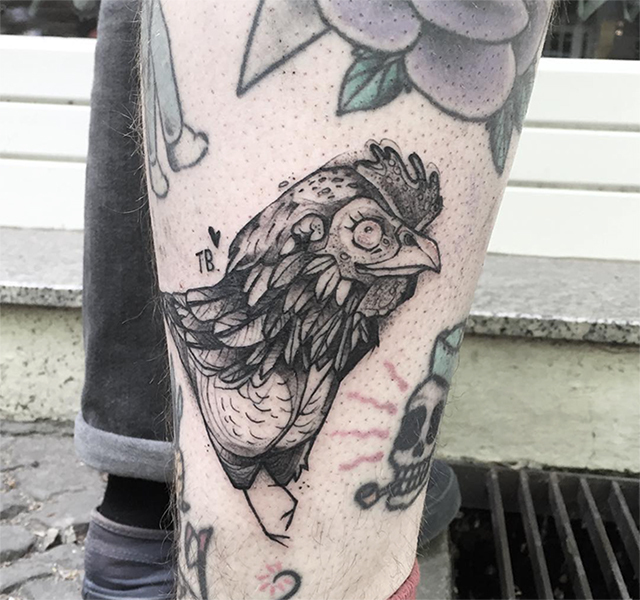 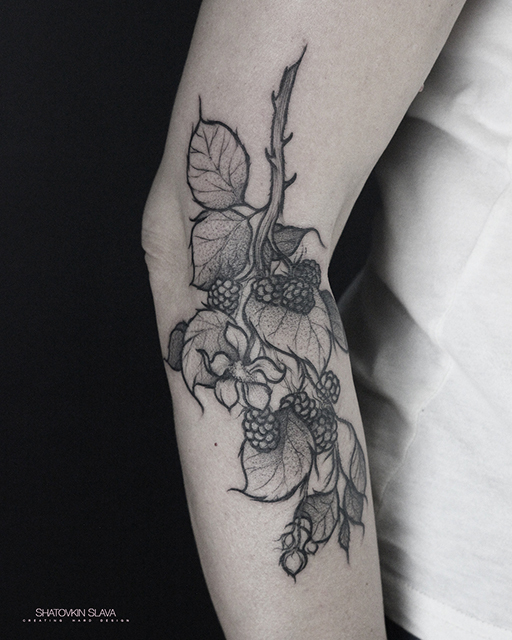 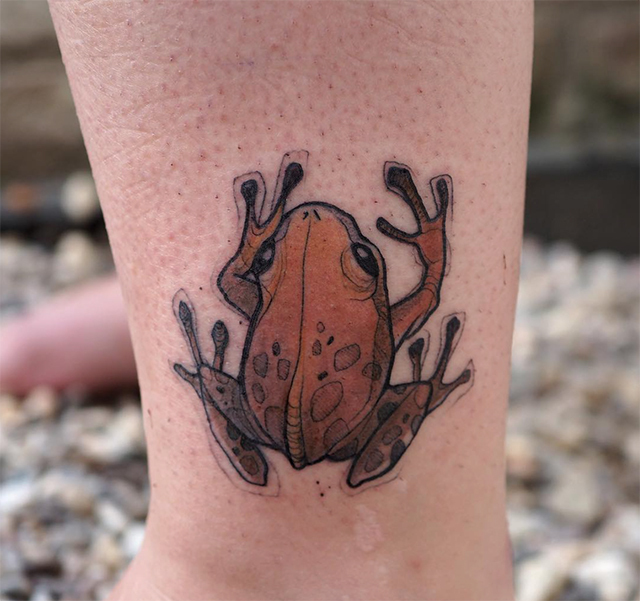 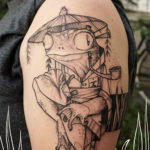 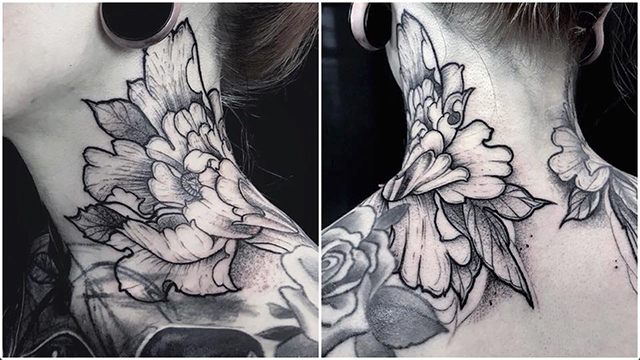 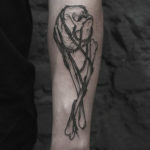 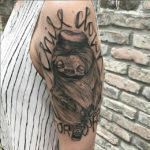 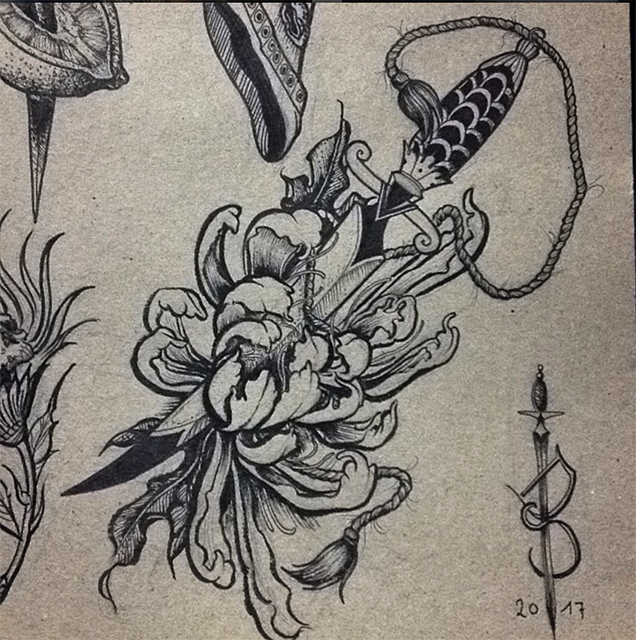 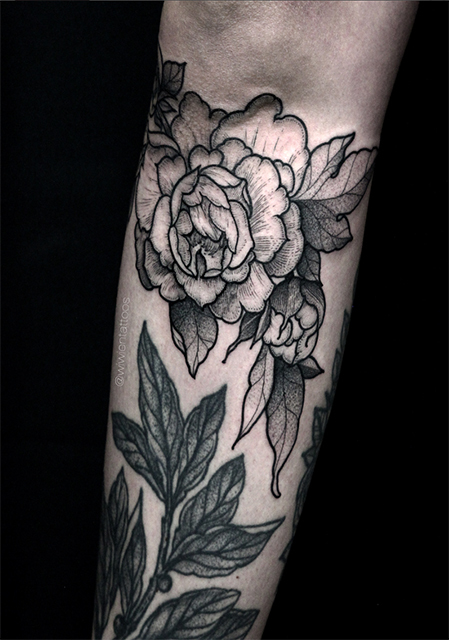 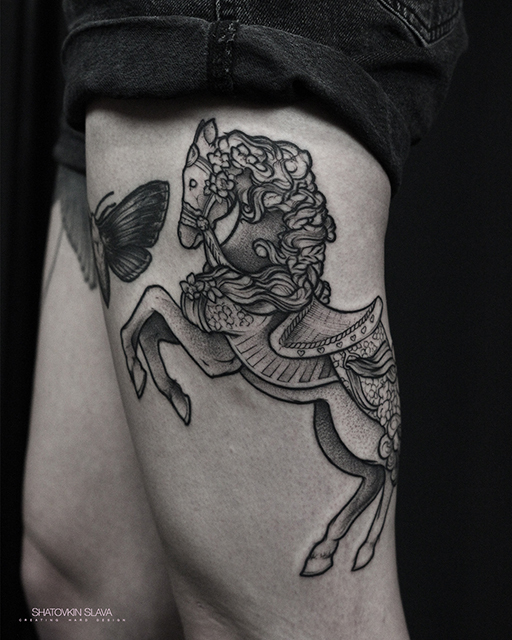 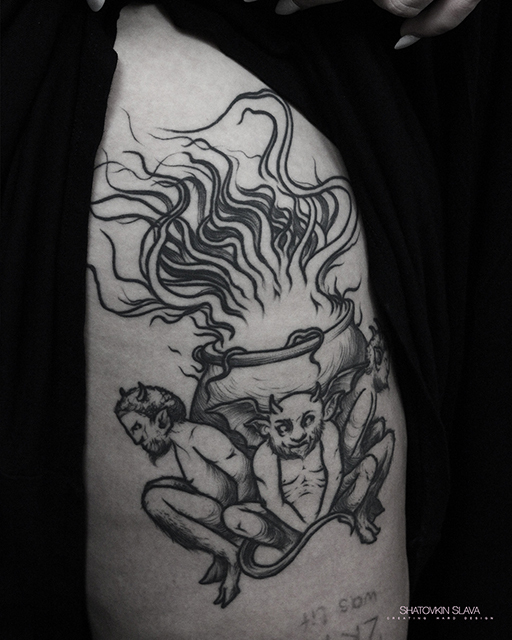 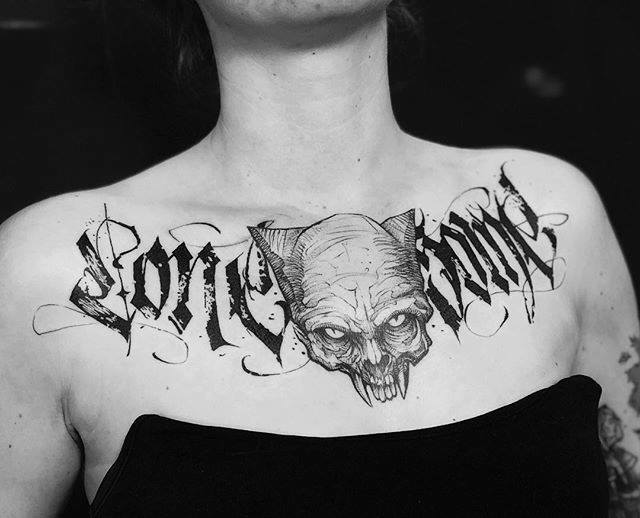 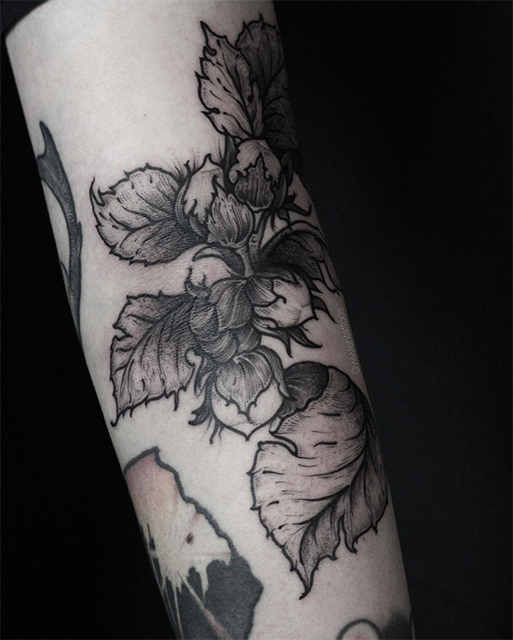 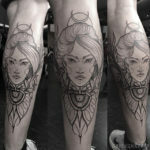 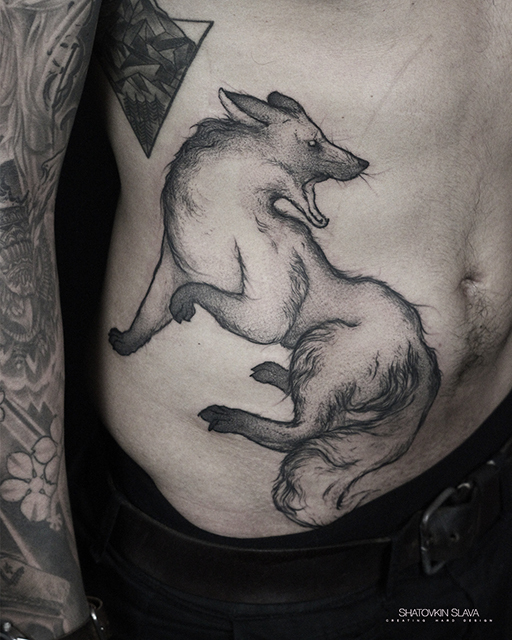 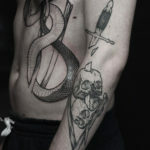 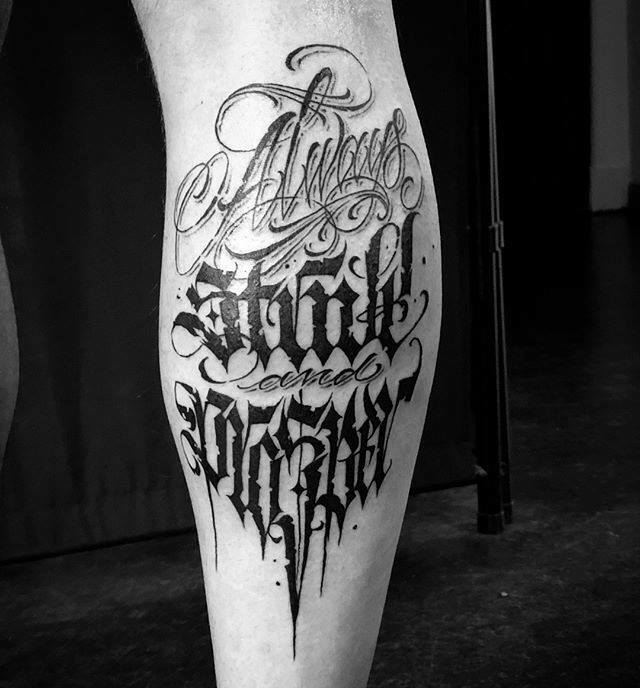 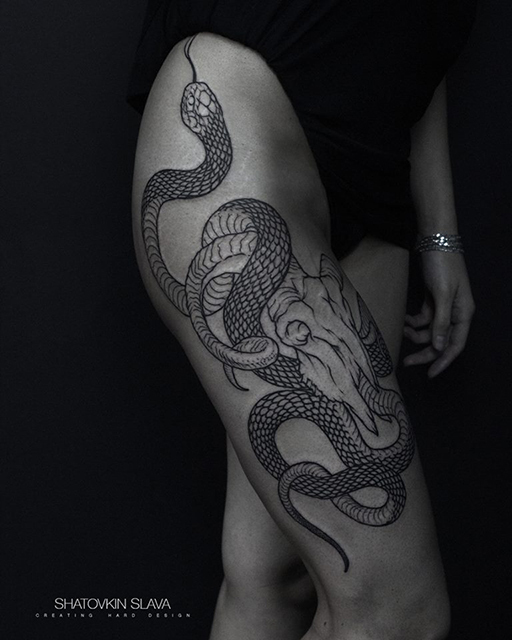 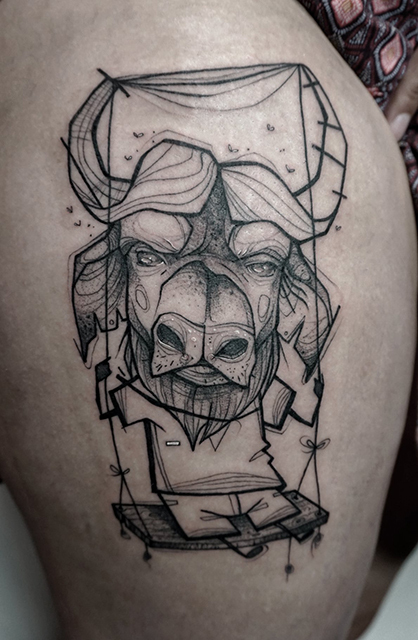 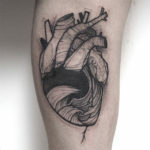 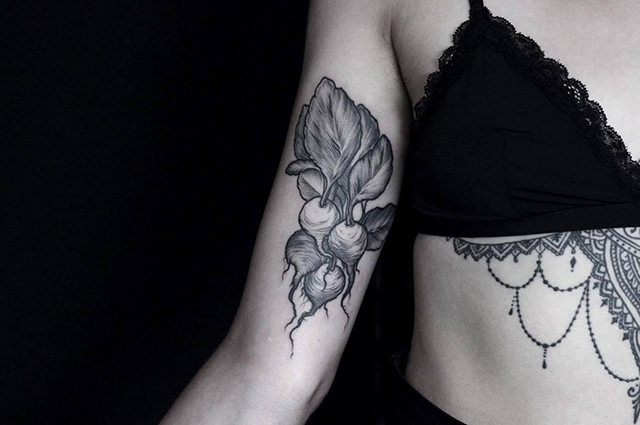 Wiwien is a tattoo artist from Stettin, Poland. 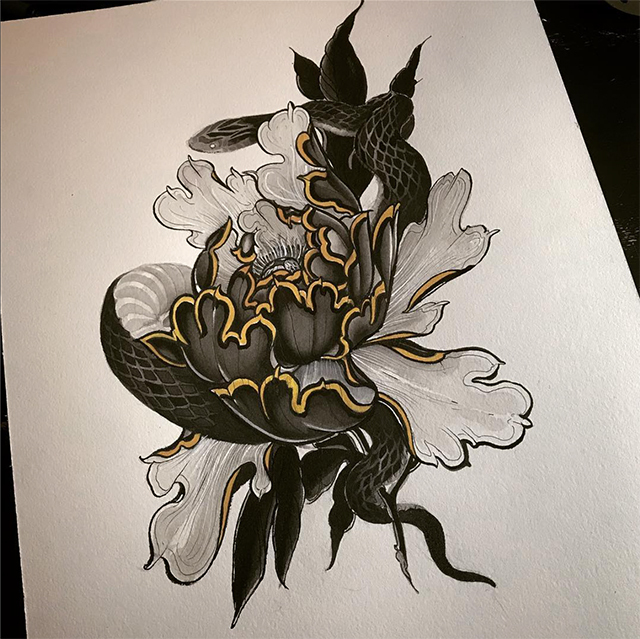 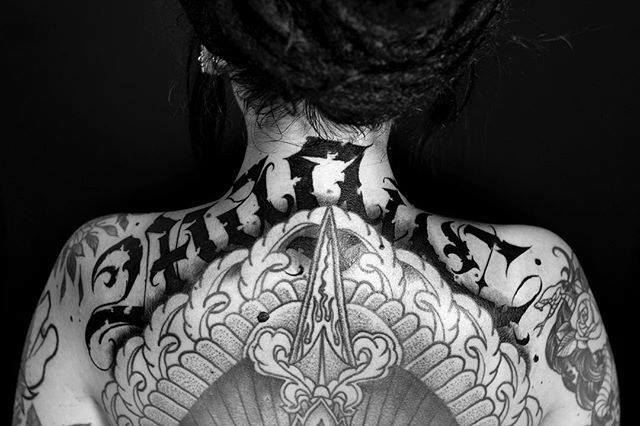 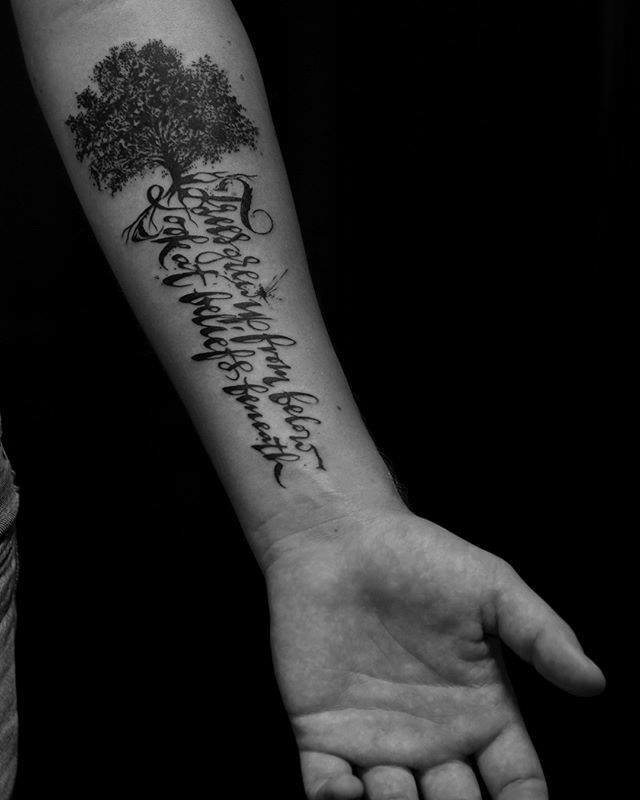 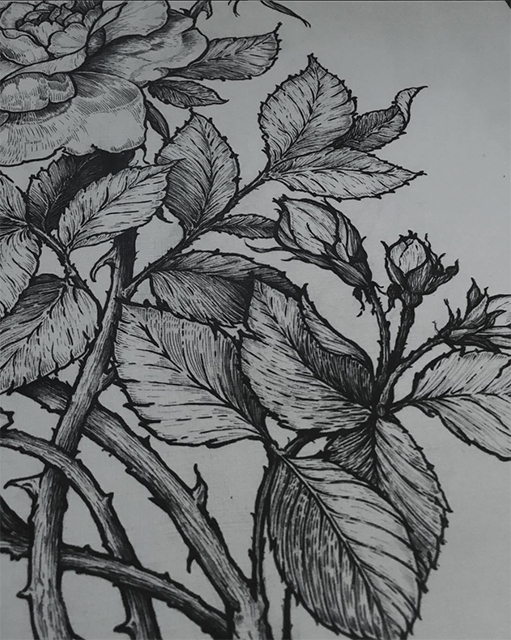 Her special skills are clean lines, dotwork and the art of calligraphy. 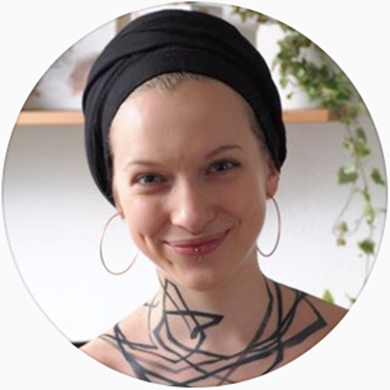 She studied Architecture and Urban Planning at the Stettin University of Technology, where she developed a lot of technical skills. 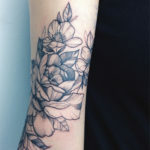 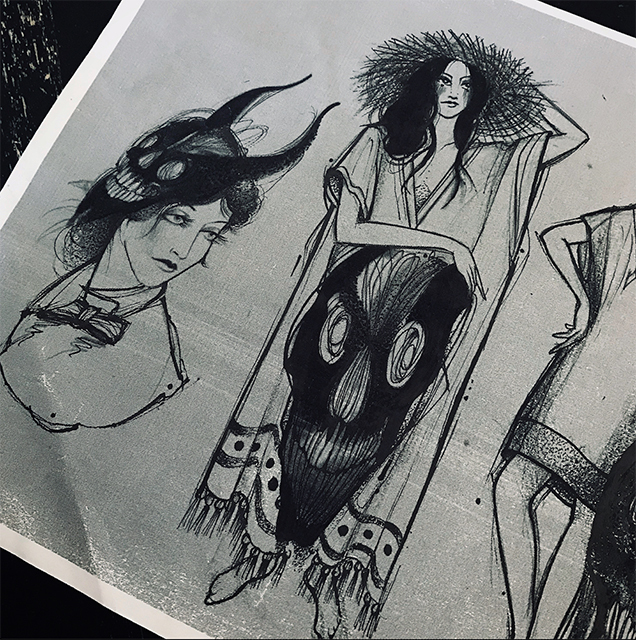 She loves to reshape her clients visions in original custom made designs. If you want to know more about the artist, you can check her Instagram. 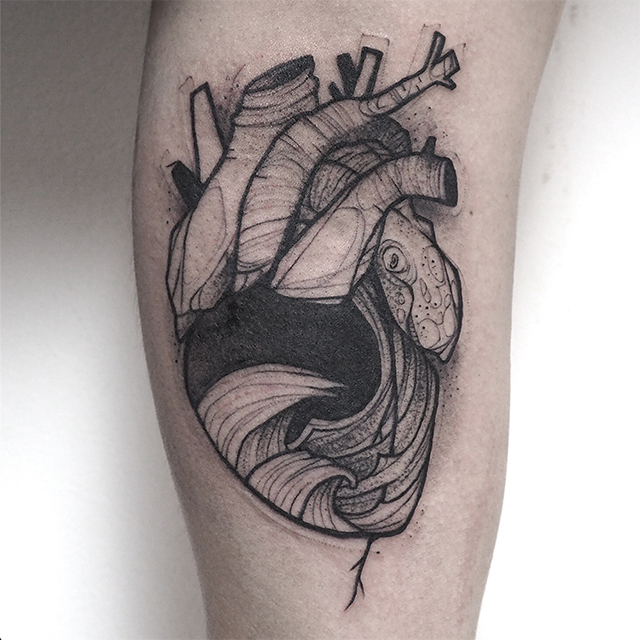 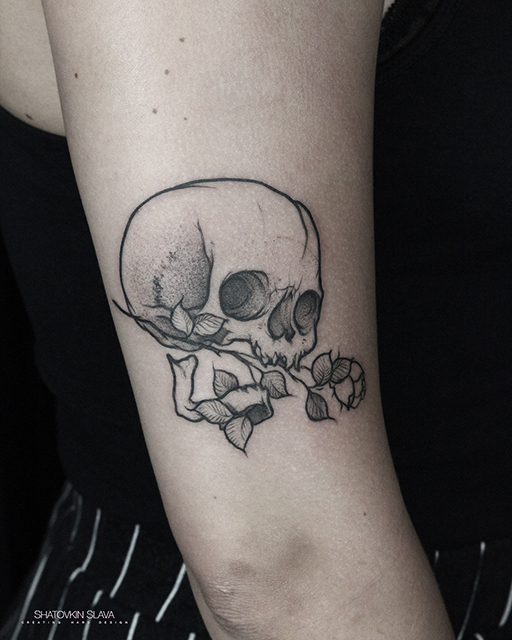 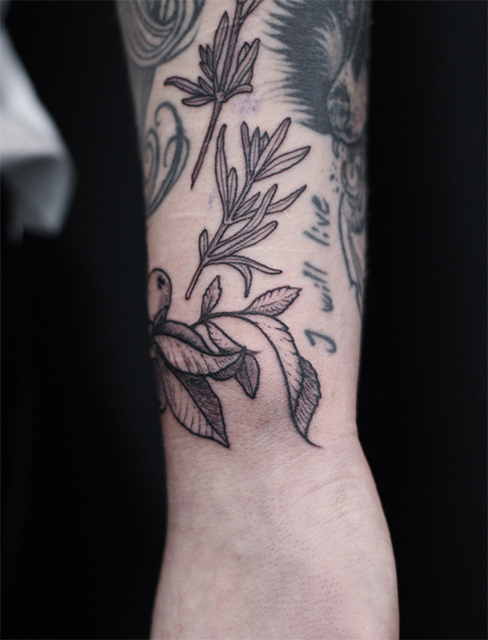 I’m Jana alias Kleinhutt, born in Neuwied 1993, tattooing since April at Scriptorium Berlin. 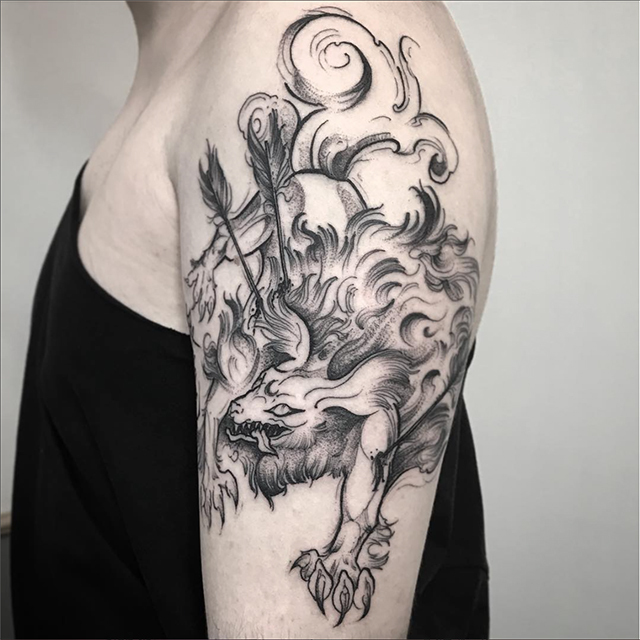 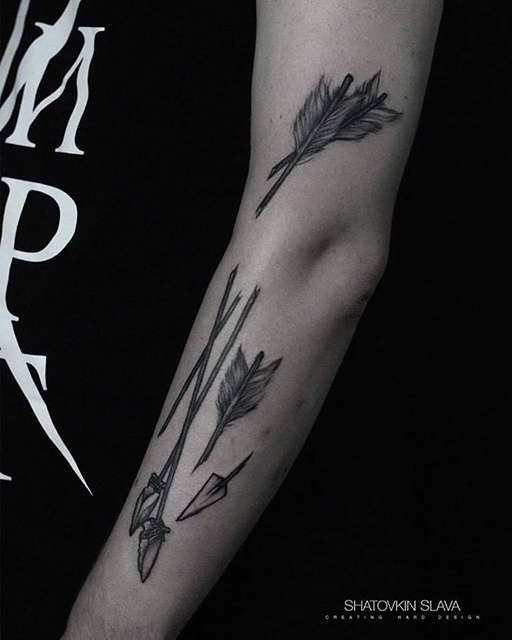 After I finished my university 2017, I wanted to be a Cartoonist or Animator, but tattooing totally got me. 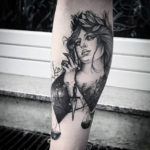 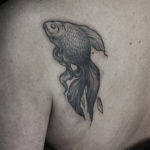 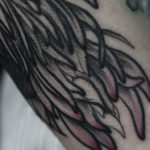 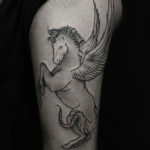 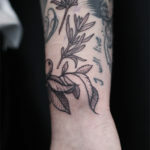 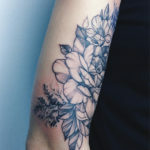 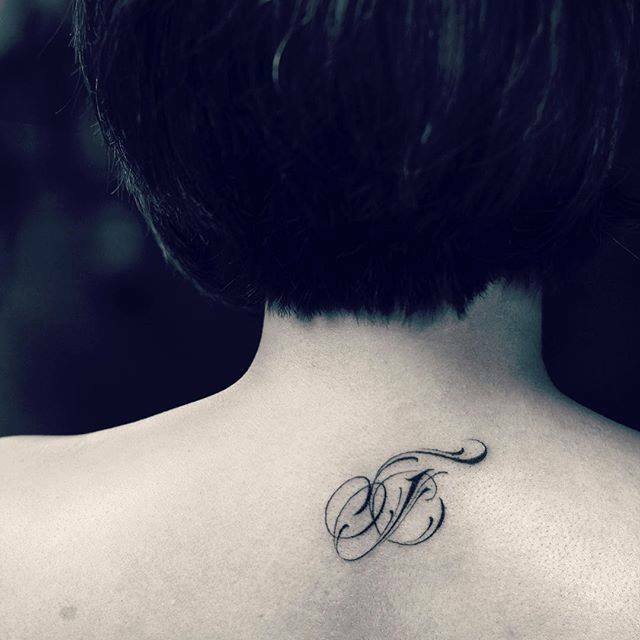 Now my biggest passion is to create tattoos which are telling storys and giving you a good feeling. I’m still inspired by Comics and Cartoon which defines my style of tattooing. 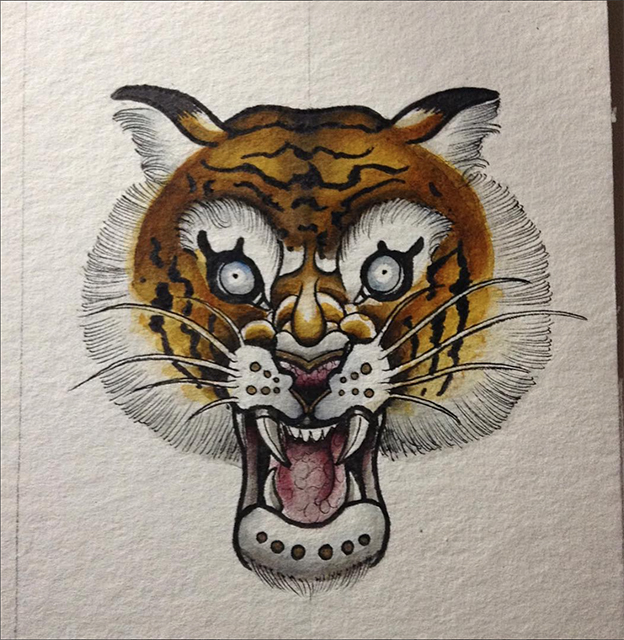 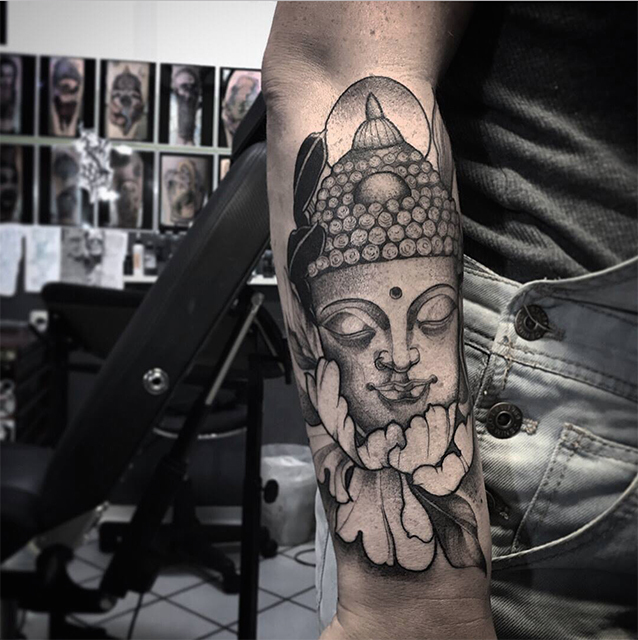 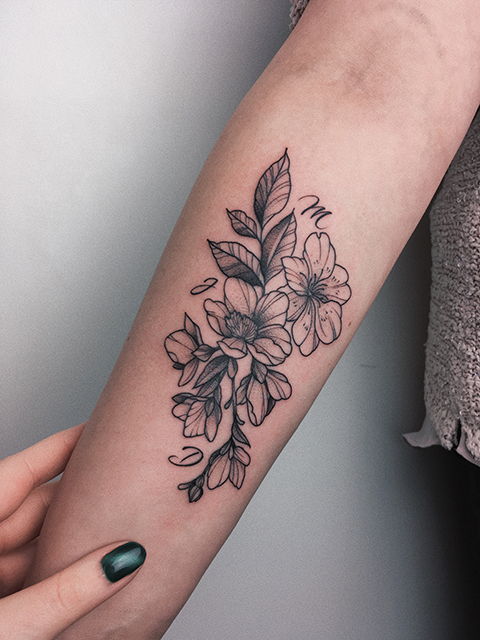 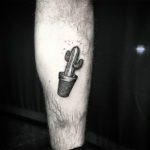 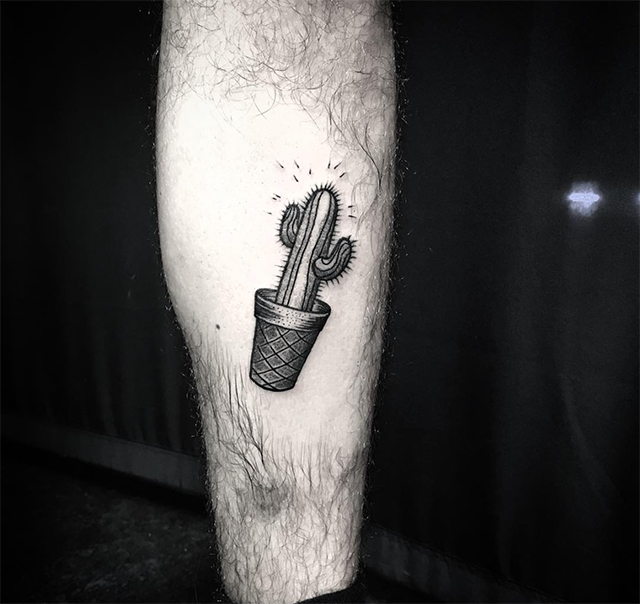 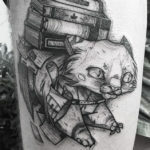 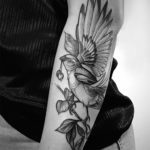 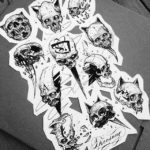 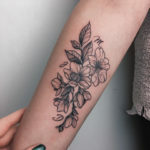 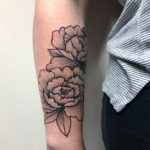 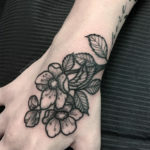 I’m open for any request and will be happy to find a way to create you an unique tattoo which brings you joy. 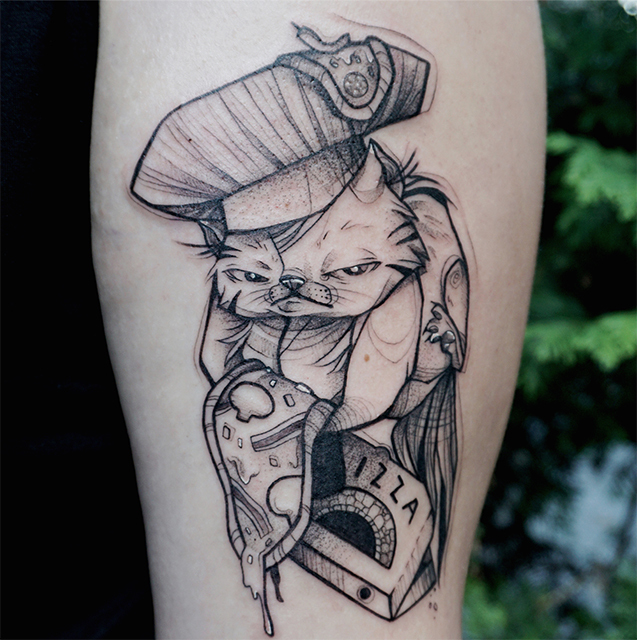 Our friend Slava is back! 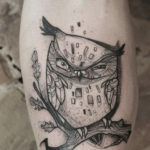 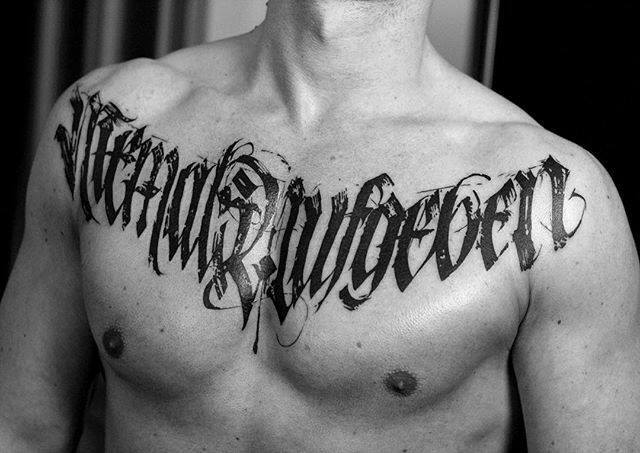 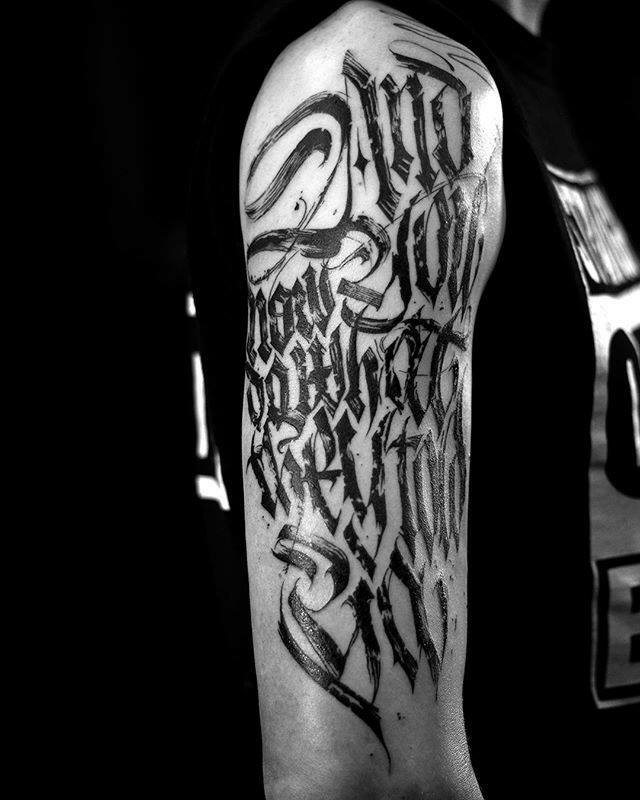 Contact us (scriptoriumberlin@gmail.com) or him directly for some amazing ink! 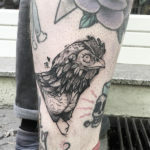 At the beginning i started with tattooing friends in my home town then their friends and so long before I realize that it can be more than a hobby. 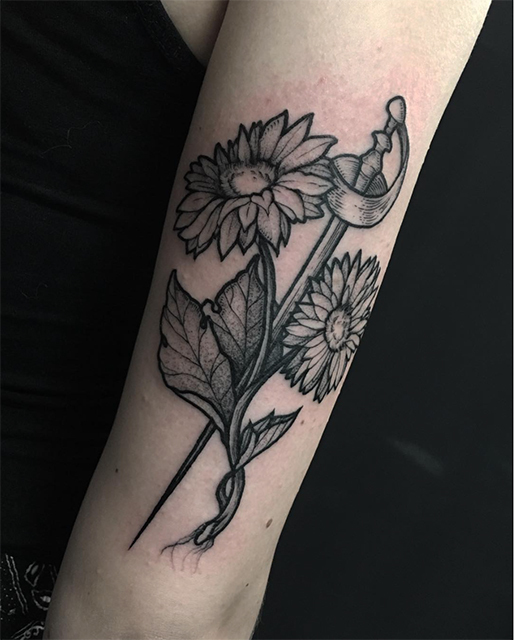 Growing on myself in a professional way and improving drawing skills now is helping me to create unique designs. 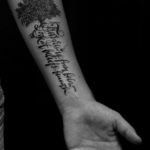 The most important in creation is uniqueness. 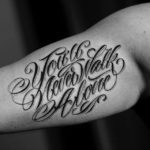 In the end of copying you’re getting the same product as millions. 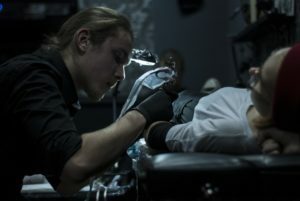 I want to offer you a better way. 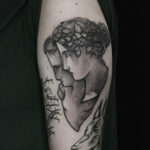 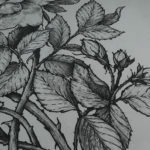 I’m offering designs, inspired by life thoughts, painting’s and engraving’s that took part in art history. 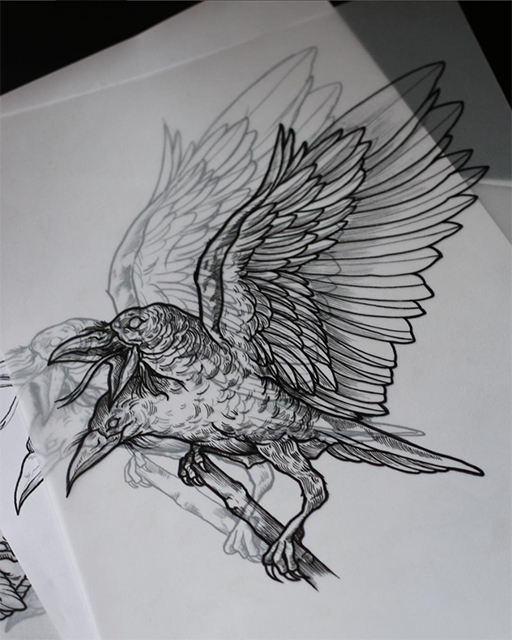 Also I’m honored to draw a design for your idea and for me that’s a best collaboration between customer and artist. 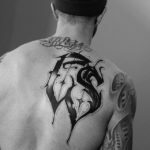 If you want to know more about the artist, you can check his Instagram , Facebook or internet page .